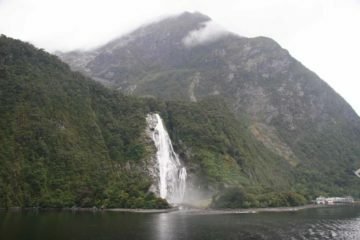 As you can see by the title of this page, this itinerary was our honeymoon with a destination wedding in the Land of the Long White Cloud. 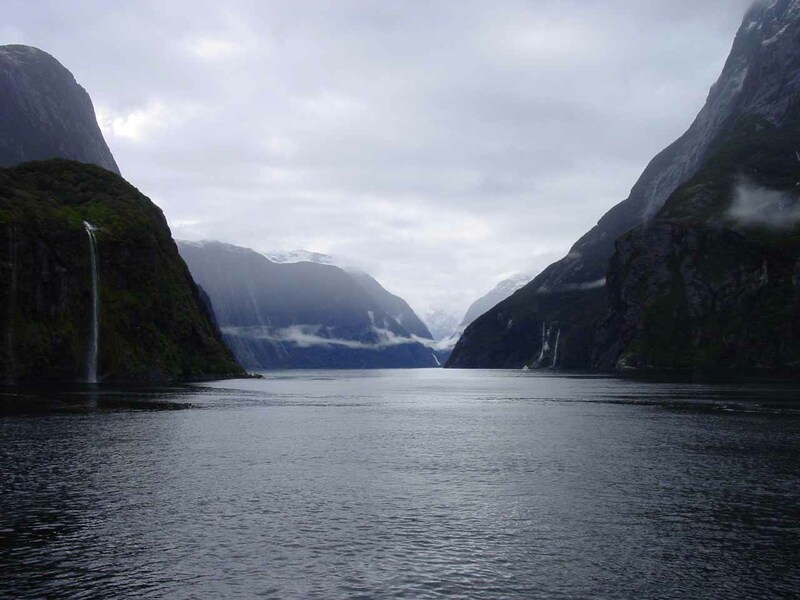 For Julie and I, this was the trip that opened up our eyes to what was out there in the world, and it essentially changed our lives in every sense of the word. 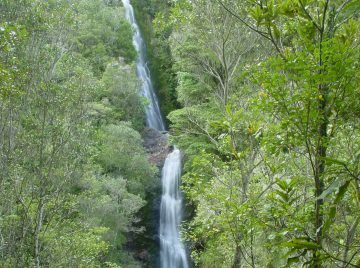 From this point forward, we were forever bit by the travel bug and that our waterfalling goals took on a much more international flavor. 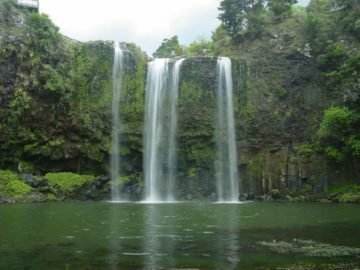 Not knowing what to expect from such a large trip like this, we went with a travel agent to book most of the logistics. 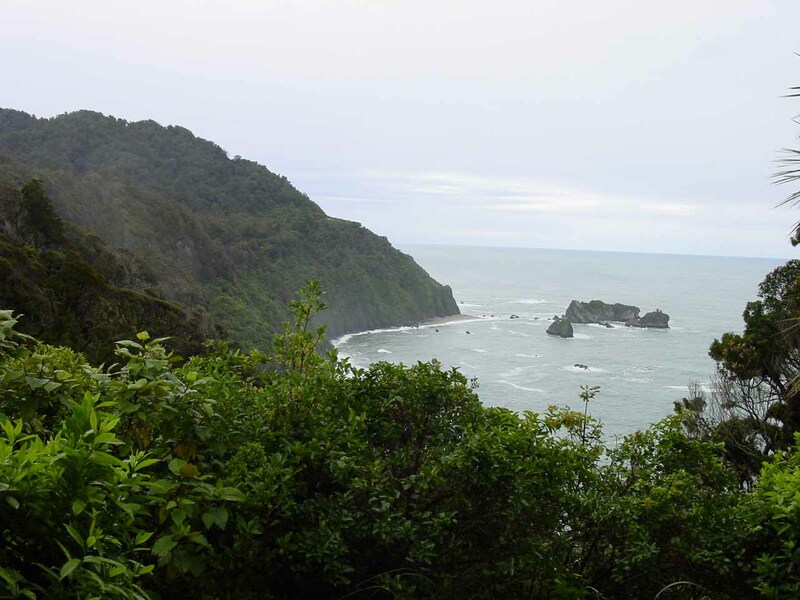 Other than that, it was a self-driving trip that encompassed much of both the North and South Islands. 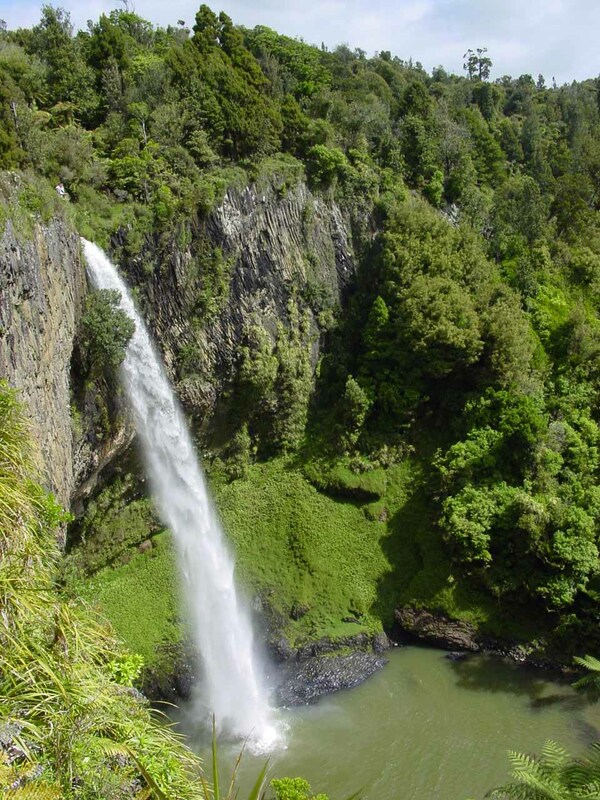 Whangarei Falls – This was one of the more impressive block waterfalls that we saw in the northern part of the North Island, and it was easy to appreciate as a trail allowed us to experience it from the top as well as from its base where there was a picnic table to watch ducks go by in front of it. 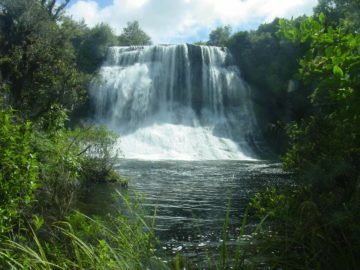 Indeed, it was quite a serene spot, and that’s saying something for what was essentially an urban waterfall in the town of Whangarei. 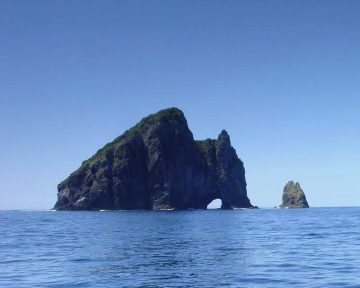 Hole-in-the-Rock and the Bay of Islands – This big natural sea arch was the main draw of the Bay of Islands in my mind, and the boat tour that took us there also took us around to see blowholes as well as a small cave. 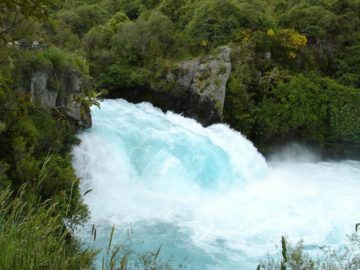 With the water appearing to be a turquoise blue, it really felt like a great way to experience this part of New Zealand when we weren’t waterfalling. 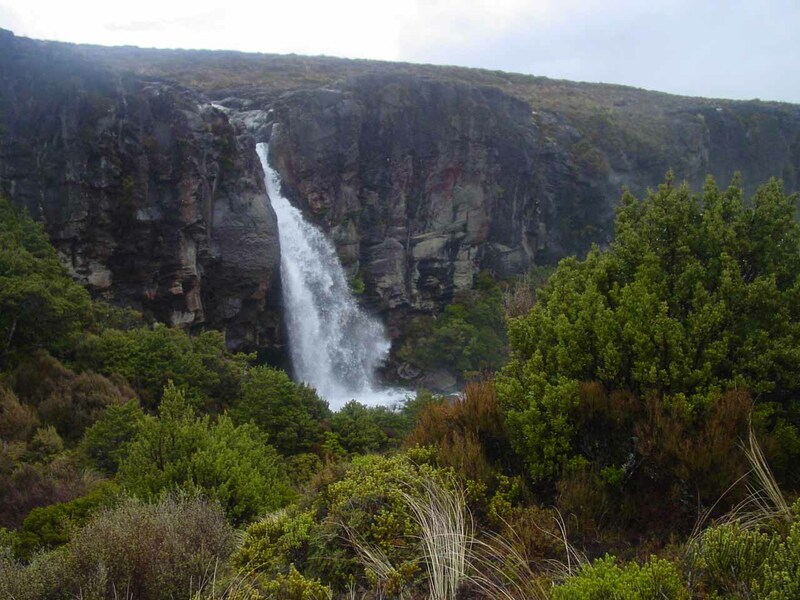 Rainbow Falls – This was another one of the attractive block waterfalls on the northern end of the North Island. Indeed reminiscent of a slightly larger version of Whangarei Falls, this one was not as much of an urban waterfall as Kerikeri seemed to be an even quieter laid back town than Whangarei. 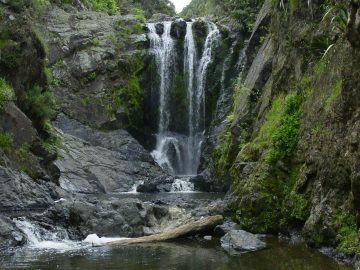 In any case, we enjoyed this falls, and if we were up for it, we even could have hiked along the Kerikeri River to check out Wharepoke Falls further downstream. Giant Kauri Trees of Waipoua Forest – One of the pleasant surprises of our time in the Northland Region of the North Island was getting close to giant kauri trees in the Waipoua Forest. 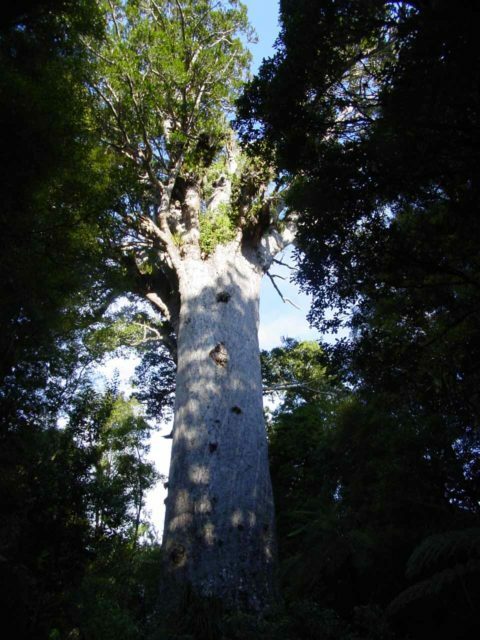 These trees reminded me of the Sequoia Trees we get back at home, but these white-barked giants were seemingly unique to New Zealand, and walking amongst such giants was definitely quite humbling. It was good that they preserved these because there’s no telling how much longer before they’d disappear if they continued to be logged. 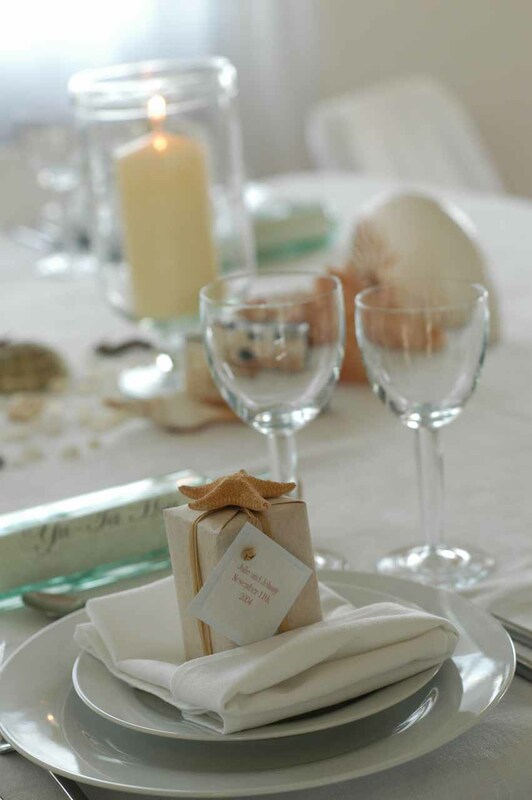 Wedding at Villa Toscana – Thinking out of the box and doing a destination wedding was probably the wisest decision we made concerning this big day. Not only was the venue beautiful, but the hosts and workers helping out were awesome. The Tuscan food was delicious and authentic, and it seemed like everyone was really enjoying themselves, including Julie and I. 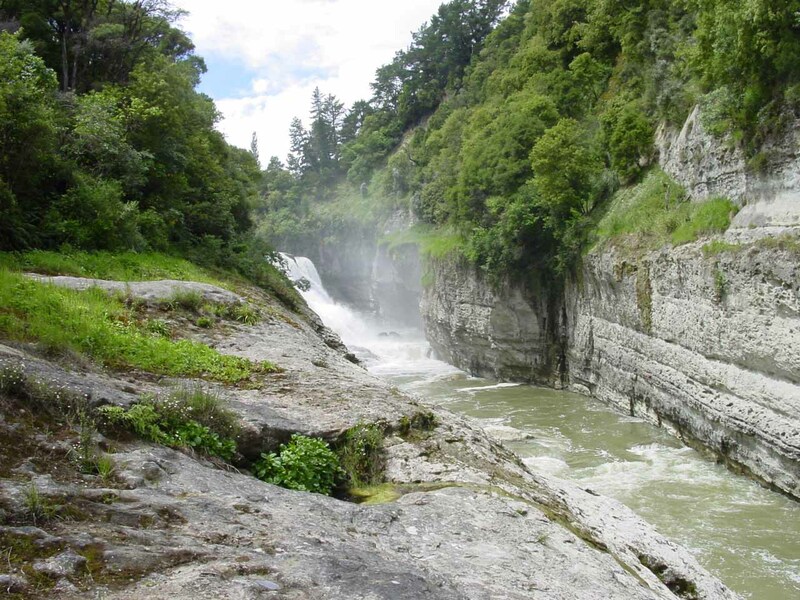 We still look back on this day as a transformative one in so many different ways, and that’s why New Zealand will always have a special place in our hearts. 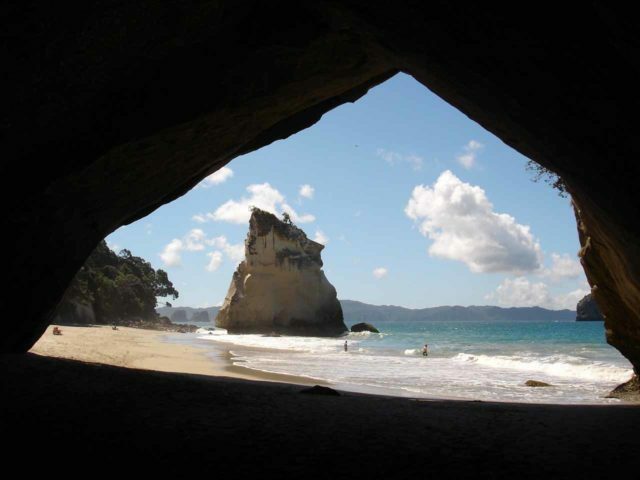 Cathedral Cove – This beach and sea arch was relatively uncrowded, and the hike to even get here was very scenic. 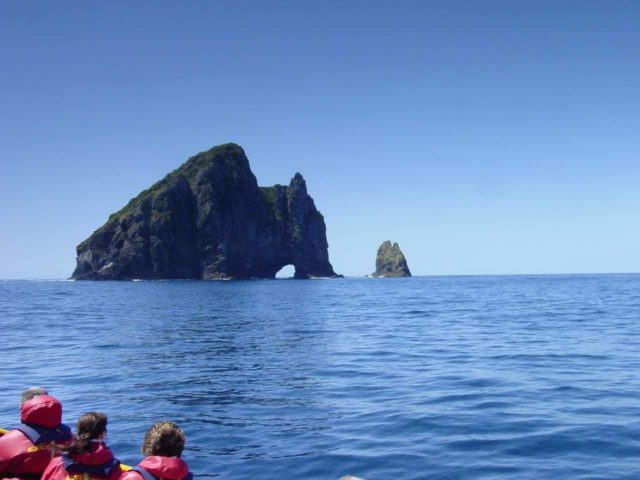 It was a shame that we had to keep driving south to continue the honeymoon because we very easily could have just chilled out here for a long time until the high tide starts coming in and inundating the passage through the arch. 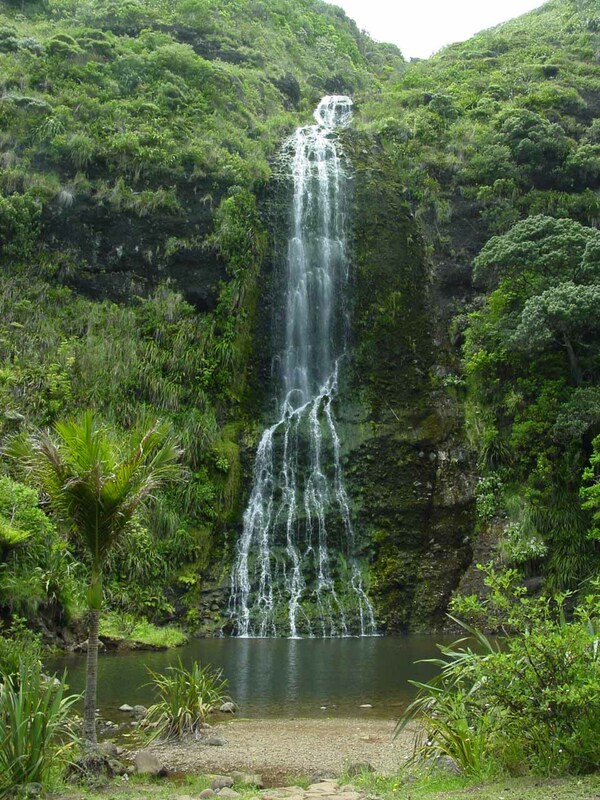 I’m pretty sure the secret about this place won’t last for long and it will become crowded and popular over time. 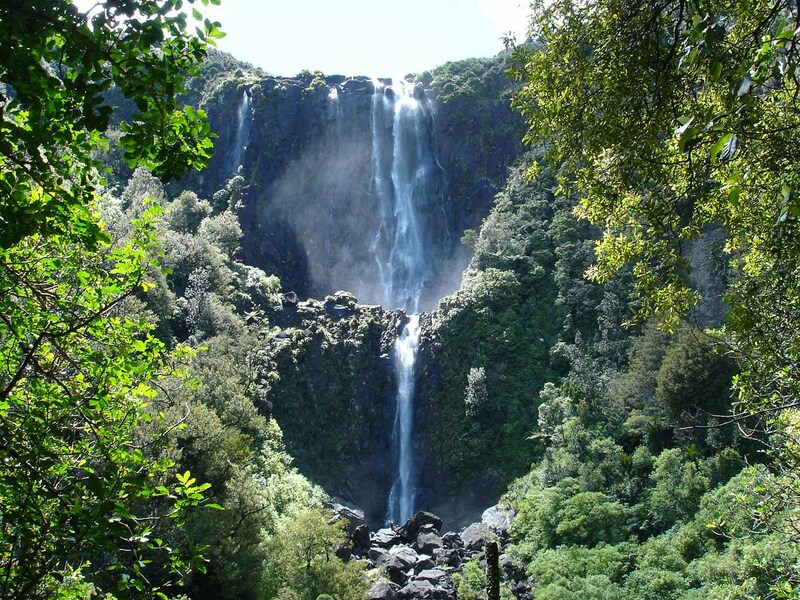 Wairere Falls – This was one of the tallest waterfalls in the North Island at around 153m tall. It towered over the Waikato Plains and we could easily see it even on the approach from the road. 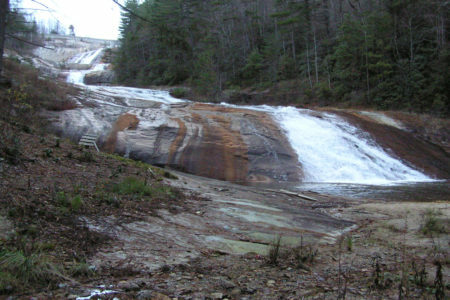 But we had to hike up to the overlook yielding the picture you see here, and that involved a bit of going over bridges plus a wooden spiral series of steps. 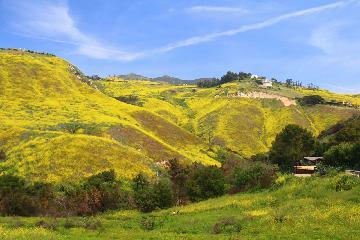 We didn’t make it all the way to the top (which would have doubled the two-hour hike), but maybe next time we’ll do it. 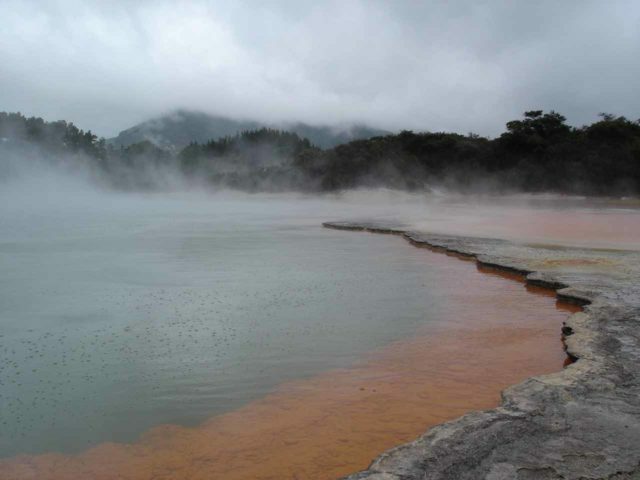 Rotorua – The thermal features near this well-touristed town produced colorful pools, some shooting geysers, and plenty of mud pools and sulphur-stained rocks. There was also a bit of a Maori heritage in and around these reserves which further added to the atmosphere. Wai-o-tapu – This thermal reserve a little further south than the main town of Rotorua featured the Lady Knox Geyser (artificially set off in the morning by a ranger dropping soap into its vent) as well as colorful lakes and pools like this Champagne Pool pictured here. It was definitely worth making the drive to get here from Rotorua. 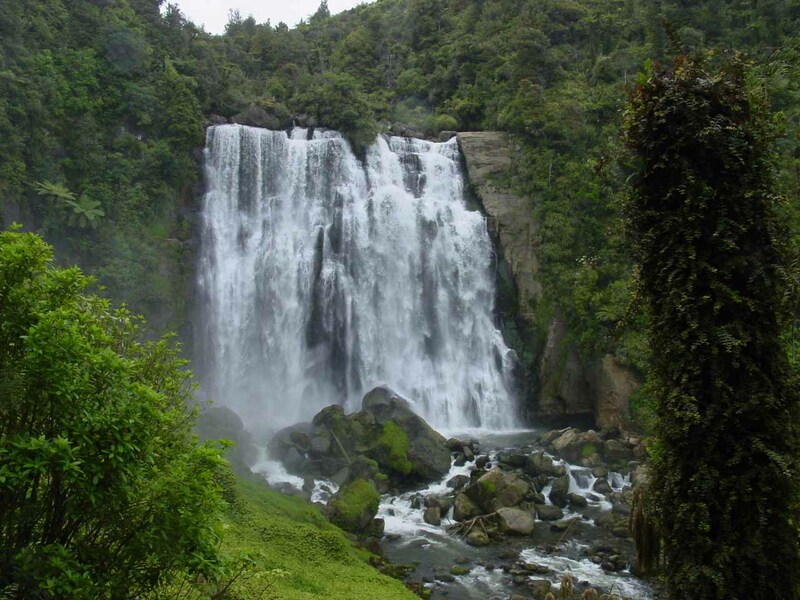 Te Urewera National Park – This place is about as remote as it can get on the North Island. 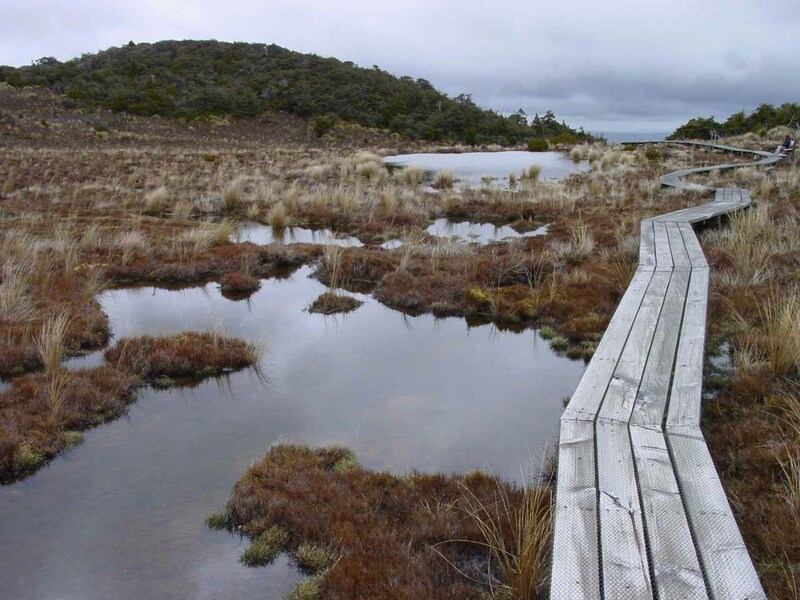 Not only did we have to endure an extended drive on unsealed roads all the way through the reserve, but it was said to be a “shortcut” that has broken up marriages. So I guess it was a test for newlyweds like us. 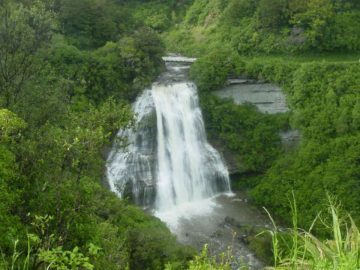 That said, the place harbored rewards like the impressive waterfalls of Mokau Falls or the accessible ones like Aniwaniwa Falls as well as Papakorito Falls. 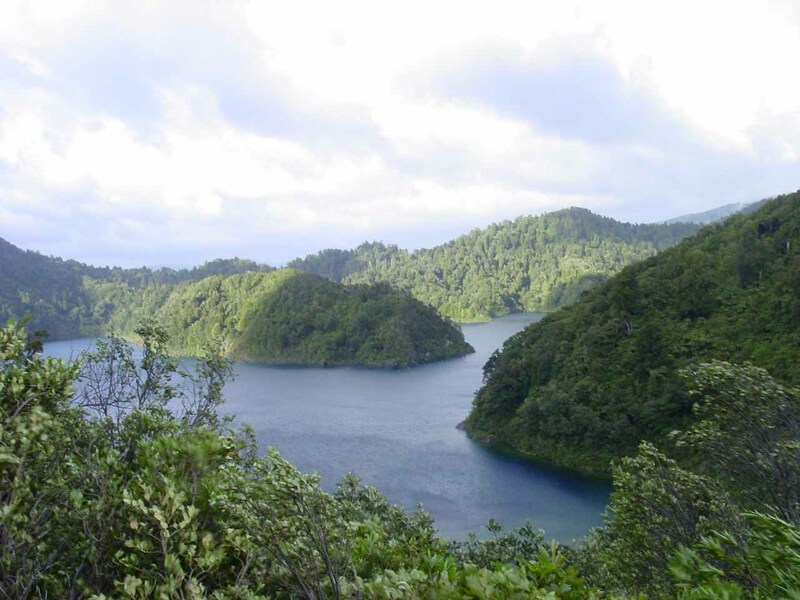 Then, there was the beautiful Lake Waikaremoana. It really did feel like we were one with Nature in this part of New Zealand, and even the blustery winds affirmed to us that Nature was in charge here. 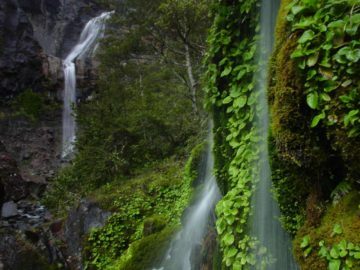 Shine Falls – This waterfall that somehow reminded me of some kind of hooded figure was both tall and it was in a pocket of Nature just past some paddock with large rocks jutting up out of the grassy hills at its trailhead. 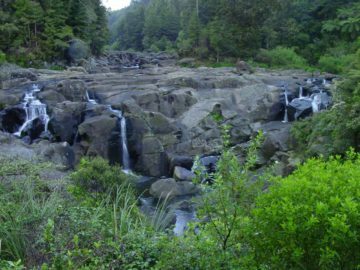 Part of the Boundary Stream Mainland Island Project, it was also a place that sought to restore the original conditions before modern day settlement changed key aspects of the nature of its ecosystem. 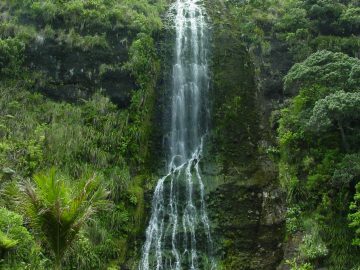 So the fact that all this made us feel like we went off the beaten path for the waterfall reward, and by having a falls like this to ourselves, it was definitely a highlight. 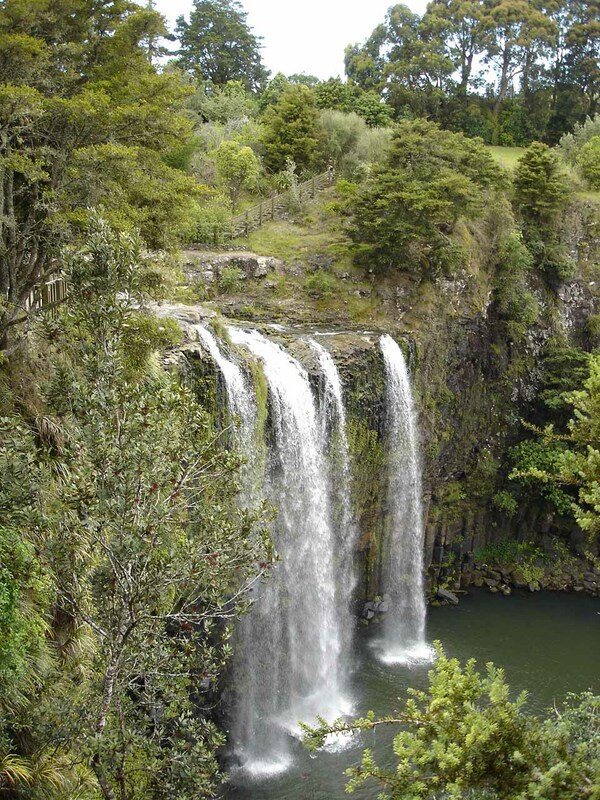 Waipunga Falls – Triple waterfalls like aren’t supposed to be so easy to visit, but on the drive between Napier and Taupo, this waterfall (with a hidden companion) was just that – an easy stopover to stretch the legs and make lots of camera clicks. 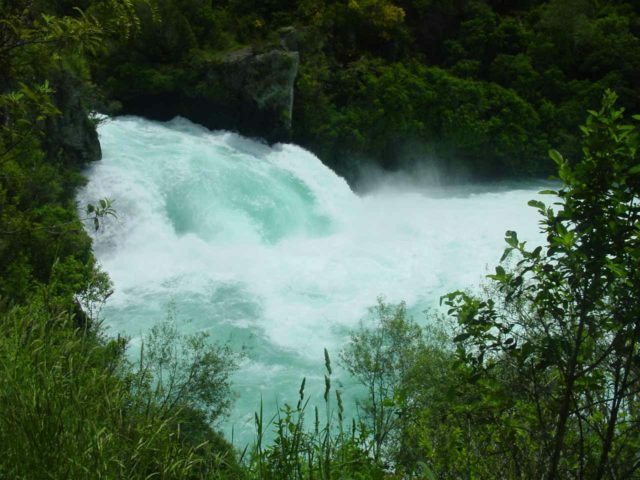 Huka Falls – Even though this waterfall was diminutive in height, it certainly was no slouch in terms of its volume and power. 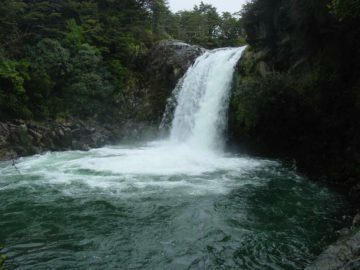 Add to that the powder blue color of the Waikato River and we had ourselves a very popular and attractive waterfall near Taupo. Every so often we’d see jet boats rushing to the base of this falls and overpowering the whirlpools and undertows that are certain to be in the churning whitewater at its base, but there’s no denying the awesome power and beauty of this falls. 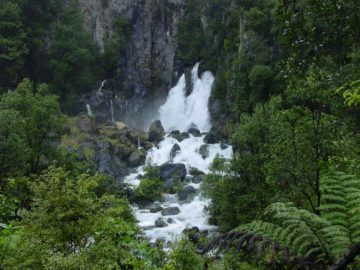 Waitonga Falls and Mangawhero Falls – Both of these waterfalls were on the southern slopes of the active Mt Ruapehu, and they were attractive waterfalls that were pretty easy to visit though Waitonga Falls required a bit of a longer hike. 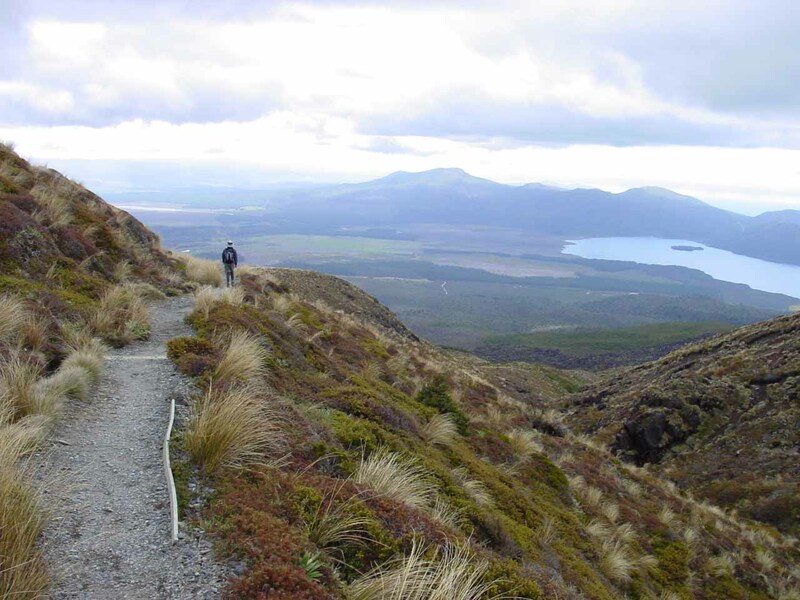 Still, the ability to walk over a boardwalked bog while observing some of the bush scenery on the slopes of this volcano made for quite a double jeopardy highlight. Taranaki Falls – While we were waiting out the bad weather so we could finally do the Tongariro Crossing hike, we were able to do this moderate loop hike that took in grassland terrains and views of Mt Ngauruhoe and Mt Tongariro on the way to this 20m falls at the opposite end of the loop. 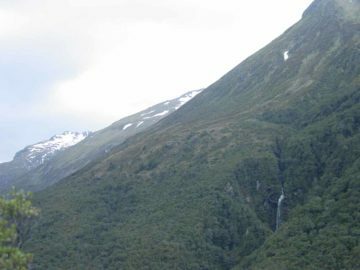 It was definitely a great opportunity to motivate a hike that brought us closer to the volcanic terrain without committing to the much longer and more difficult alpine crossing trek that this area was known for. 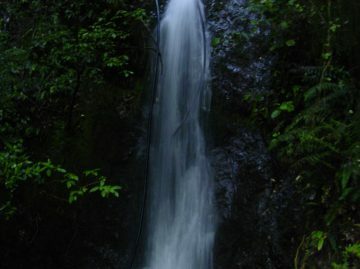 Mt Damper Falls – This waterfall was one we didn’t expect to visit going into this trip, but after chancing upon a brochure and waiting out bad weather to do the Tongariro Crossing, we stumbled upon doing this waterfall as an alternative and it was definitely one of the North Island highlights, especially since it was so unexpected. 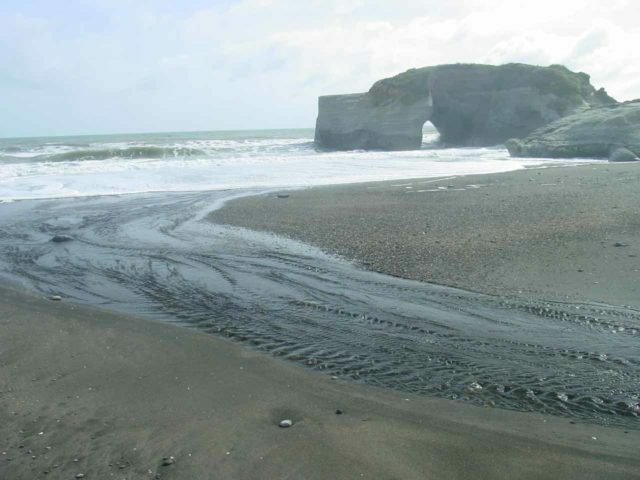 Waverley Beach – This quiet beach near between Mt Taranaki and Whanganui was quiet and secluded, and it also featured an attractive sea arch. 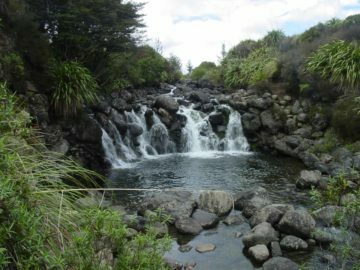 Indeed, places like these are rare, and since it was part of an excursion where we were buying time to wait out bad weather to do the Tongariro Crossing, we were quite glad to have done this as it was yet another place we didn’t plan on visiting going into the trip. Raukawa Falls – This easy-to-see roadside lookout to this wide waterfall was another nice surprise as we were buying time to do the Tongariro Crossing waiting out the bad weather there. 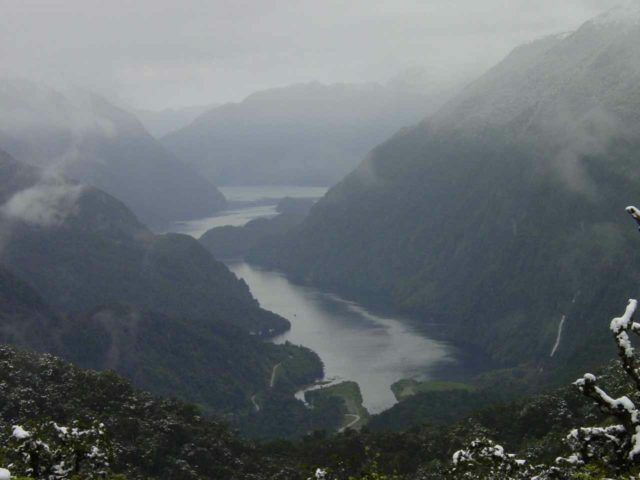 Although the view was distant, we could appreciate how the whole width of the river made its dramatic drop, which further made our big loop involving the Forgotten World Highway very worthwhile. Tongariro Crossing – This was the premiere day hike in all of New Zealand as this one-way shuttle hike brought us through volcanic moonscapes, colourful craters, and almost neon lakes all sitting between a trio of volcanoes – Mt Ngauruhoe, Mt Tongariro, and Mt Ruapehu. 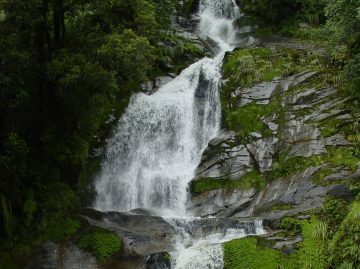 And while the Northern Circuit Track would take all this in over multiple days, the crossing track definitely did a best of type of experience and squeezed it all in a day hike. 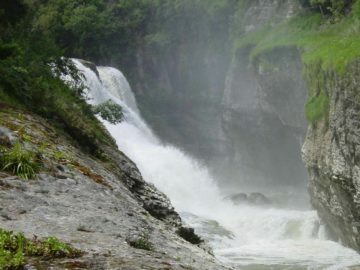 Mangapohue Natural Bridge – This large natural bridge sat between Marokopa Falls and the Waitomo Caves. 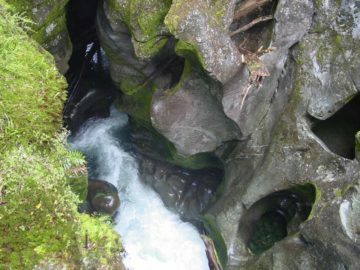 But in addition to its massively huge span (the result of a collapsed cave), we also saw fossilized marine life or shells nearby. And we were even told that there could be glow worms if one were so inclined to be here at night time. Marokopa Falls – This classic block-shaped waterfall sat about 32km west of the well-touristed Waitomo Caves. It was even easier to access let alone drive to for the walk only took us less than 10 minutes to get the view you see pictured here. Bridal Veil Falls near Raglan – This was another one of the North Island’s taller waterfalls, but its surrounding scenery further accentuated its height and plunge characteristic. 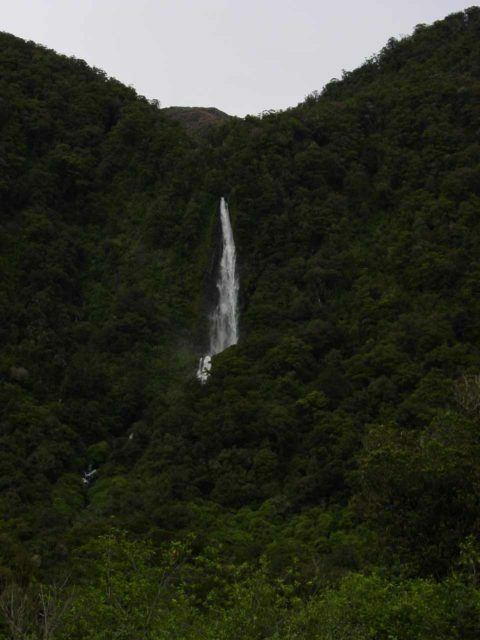 And thus we had to give this waterfall its props for it was certainly high up there in the scenic allure department. 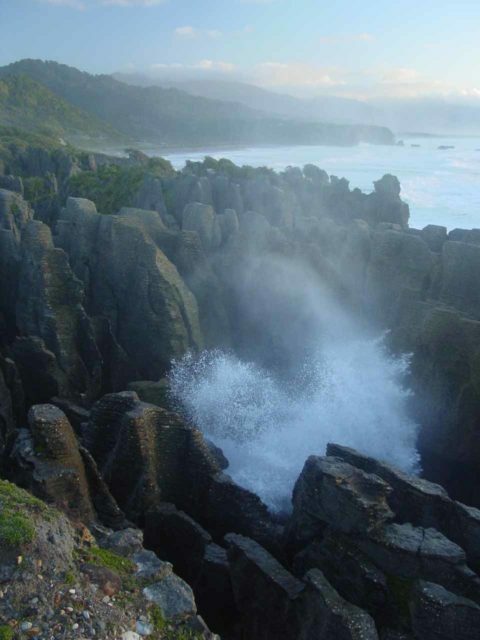 Punakaiki – The Pancake Rocks were an eccentric formation right off the rugged coast north of Greymouth and south of Westport. 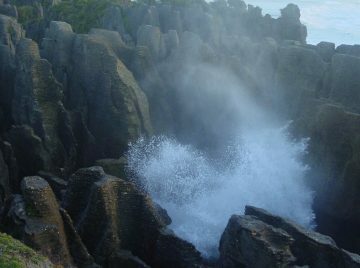 We were mesmerized not only by the formations here, but we were also trying to time our camera clicks to capture the blowhole when it erupts. And oh yeah, this place was also a magical one to watch the sunset. 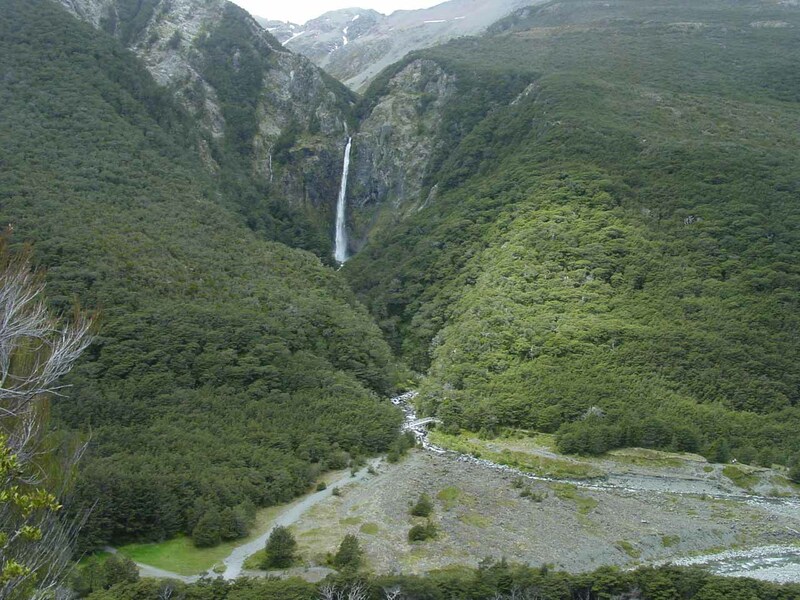 Devils Punchbowl Falls and Arthur’s Pass – This giant waterfall was perhaps the main attraction of the Arthur’s Pass area, which itself featured other waterfalls like Twin Creek Falls, Bridal Veil Falls, and Avalanche Creek Falls among others. 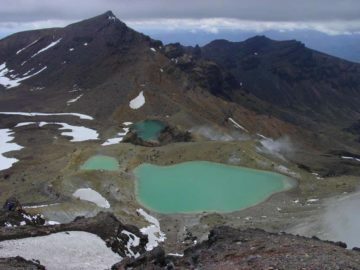 It also had the day hike to summit Avalanche Peak, which was arguably a rival to the Tongariro Crossing for the best day hike in the country. 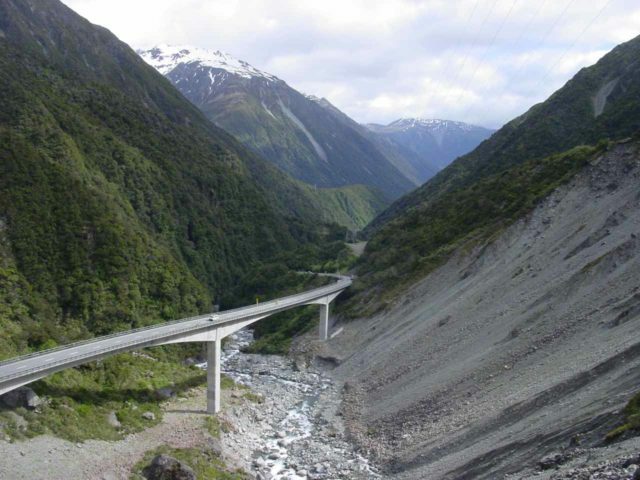 The village and engineering marvel (enabling this to be a supply route to the rugged West Coast from Christchurch) also passed through gorgeous scenery of the Southern Alps making this quite an awesome place to do a mountain hike when the weather cooperates. 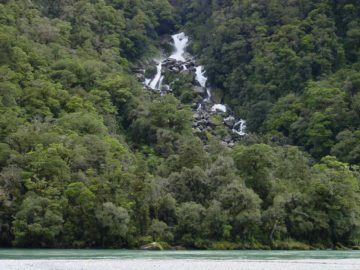 Dorothy Falls and Lake Kaniere – For another excursion off-the-beaten track, we went inland from Hokitika to check out this waterfall, which also gave us the waterfalling excuse to see the serene Lake Kaniere. It was idyllic and peaceful here, and afterwards, we enjoyed a fine meal and stroll back in the main drag of the coastal town of Hokitika while the weather was holding up (a rarity on the West Coast). 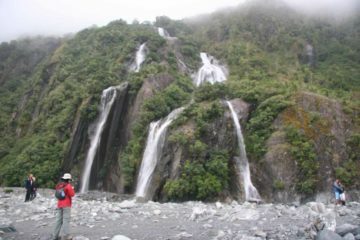 Franz Josef Glacier – We only had time to choose to hang out at just one of the two main glaciers stretching into the rainforest of the West Coast, and with Franz, we got to do a helihike high up on the glacier as well as a valley walk to take in waterfalls as well as the glacier terminus. Despite the bad weather, it was quite an experience as we had never done something like this before, and I could only imagine how much more surreal it would have been had the sun been out and the blue shades from the ice would be brought out! 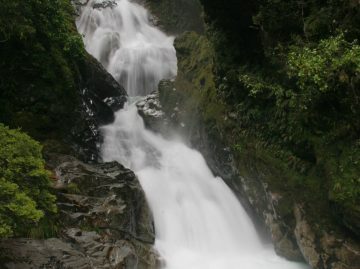 Haast Pass and the Haast River Valley – All the bad weather we were getting on the day we visited Franz Josef Glacier gave way to clearing weather for the moment, which revealed a slew of unnamed waterfalls tumbling into the Haast River Valley. 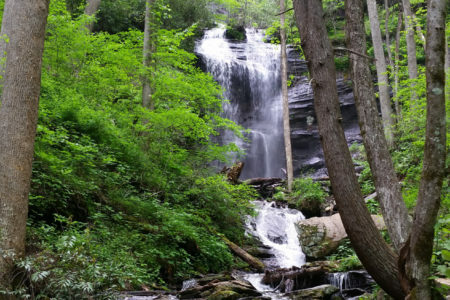 There were too many to stop for each one of them, but we did pull over and check out the named waterfalls like Depot Creek Falls, Roaring Billy Falls, Thunder Creek Falls, and Fantail Falls among others. 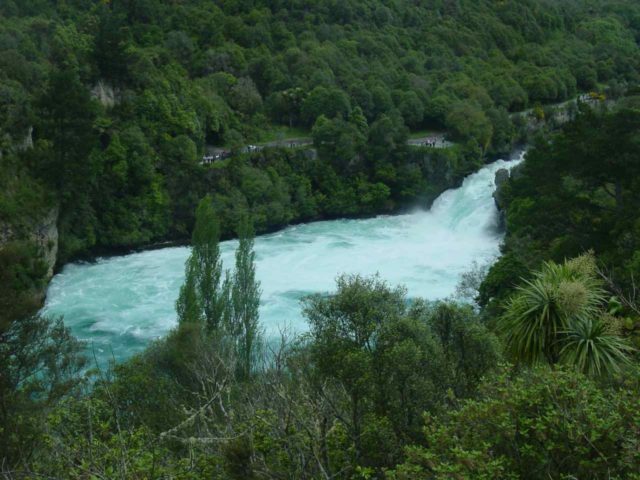 Queenstown – We took a break from waterfalling to enjoy this adrenaline junkie town though we didn’t participate in any bungy jumping or jet boat river tours. 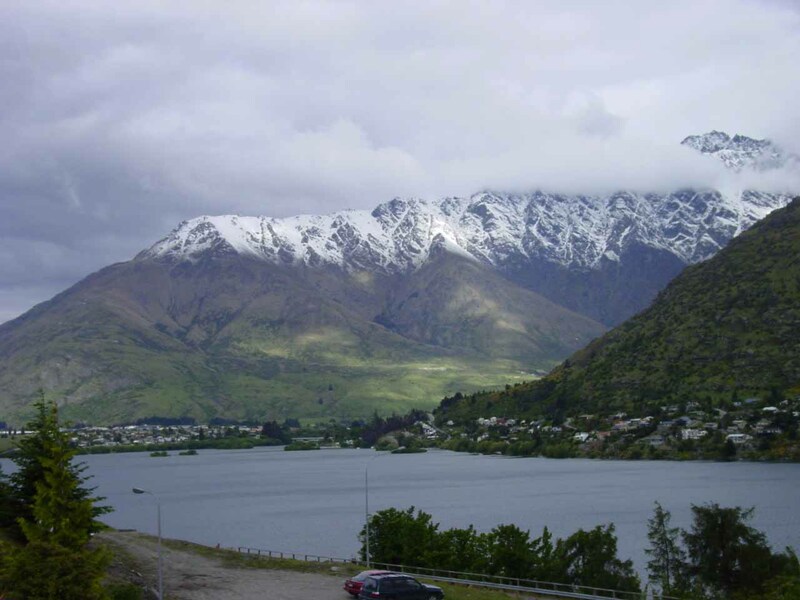 Instead, we just soaked in the ambience, enjoyed the views over Lake Wakatipu, and the Remarkables when Nature decided to reveal her. 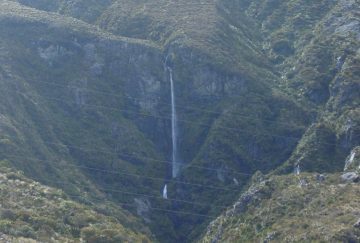 Humboldt Falls – This towering waterfall was a huge surprise when we went up the Hollyford Valley as a self-driving detour to the Milford Sound. 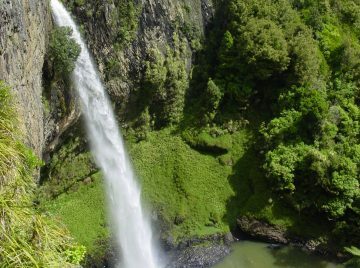 It was yet another example of the kinds of gems you can discover when self-touring New Zealand, and it merely hinted at the waterfalls and scenery that were to come as we had nearly a week to spend in Fiordland. 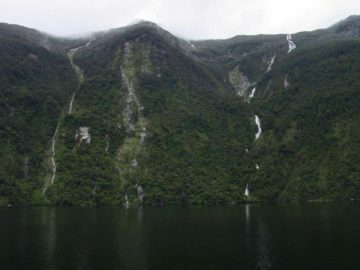 Doubtful Sound – We did a day long excursion across Lake Manapouri through Wilmot Pass, and then cruising the remote Doubtful Sound, where we saw numerous waterfalls including Browne Falls, Helena Falls, Cleve Garth Falls, and many others. 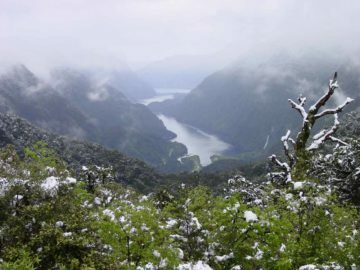 We also got a panoramic view into the Doubtful Sound from Wilmot Pass where we were getting some snow! 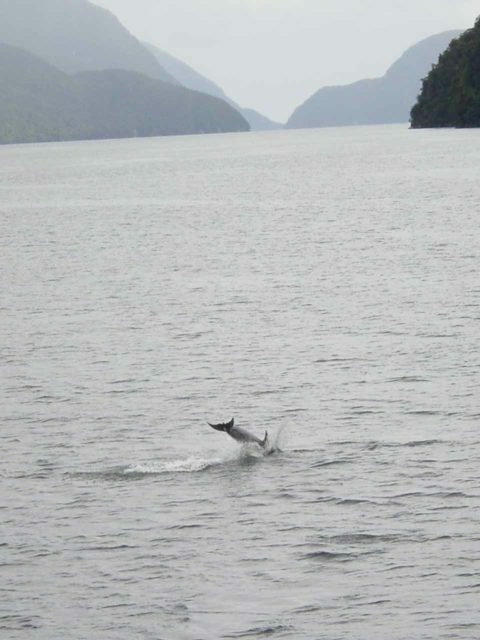 The cruise itself featured wildlife and silence as bottlenose dolphins were playfully doing backflips while we also witnessed penguins. 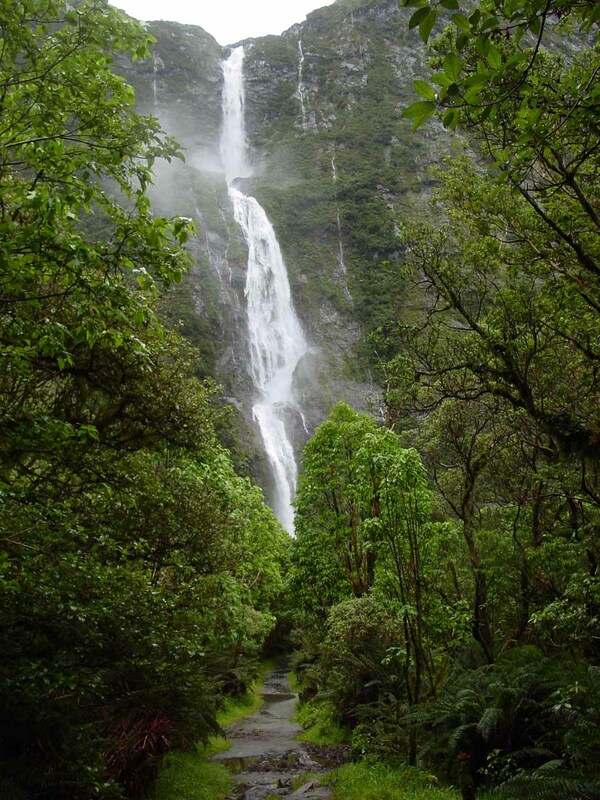 Sutherland Falls – This was a four-day 54km trek through the heart of Fiordland where the main draw for us was one of New Zealand’s tallest permanent waterfalls (and one of the tallest in the world). But this tramp had so much more going for it such as Mackinnon Pass, numerous waterfalls both named and unnamed, scenic wetlands, and much more. 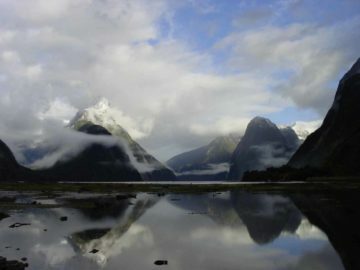 The end of the hike culminated in a boat shuttle from Sandfly Point to the mythical Milford Sound, which was the grand finale of this epic Great Walk. 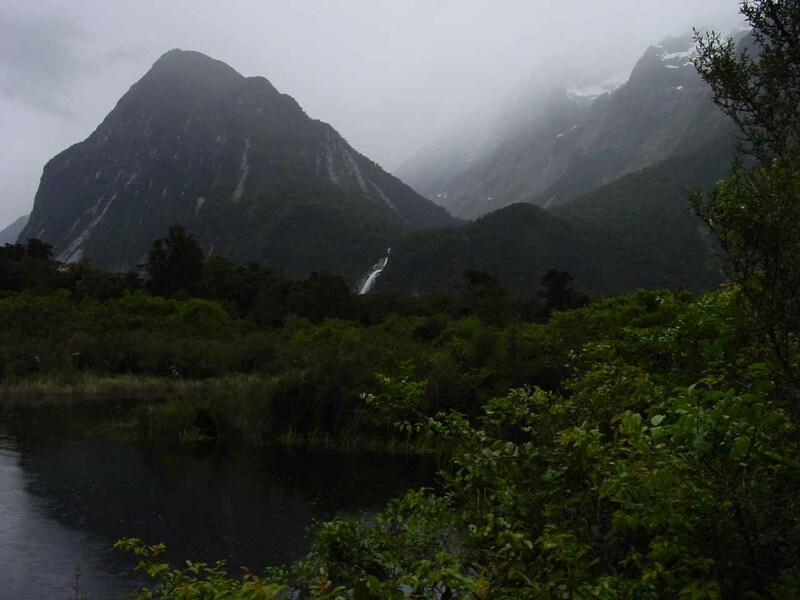 The weather wasn’t cooperative for us on the last couple of days of the multi-day hike, but it was still a highlight as far as we were concerned. I could only imagine how surreal Mackinnon Pass would be had the weather not been as foul. Milford Sound – The weather started to clear up just as we went on this cruise within this mythical fjord. Mitre Peak towering over the water while waterfalls like Stirling Falls and Bowen Falls as well as a slew of unnamed and named minor ones plus the wildlife from bottlenose dolphins to fur seals to penguins… it all was like a convergence of the best of Nature that all took place here, and it was no wonder why this place had gained mythical status for indeed it almost seemed as if it was too good to be true. 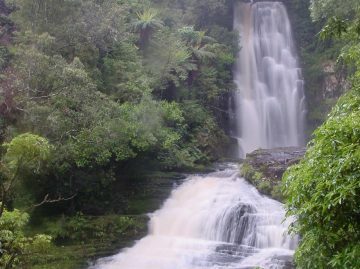 McLean Falls and the waterfalls of the Catlins – The Southern Scenic Route passed through this wild part of the far south of the South Island, where we encountered several waterfalls, including McLean Falls, Matai Falls, Purakaunui Falls, and Barrs Falls among others. 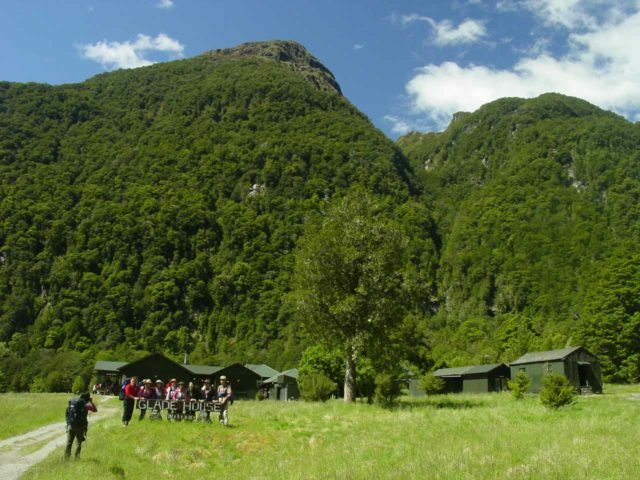 Plus, the coastal scenery from McCrackens Rest or Florence Hill contrasted with the rugged mountainous terrain of Fiordland that we had encountered just a day prior, and indeed, it was like New Zealand was putting forth yet another aspect of its diverse and incredible landscape. 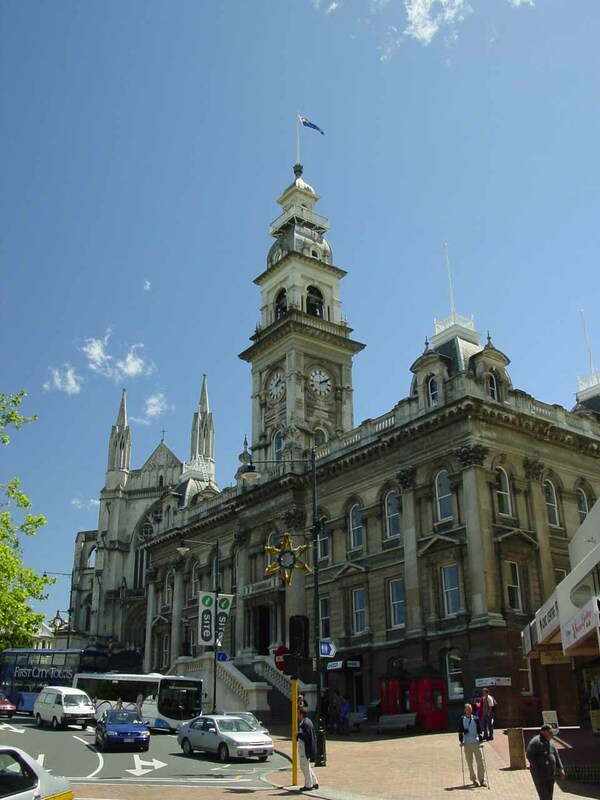 Dunedin – We didn’t have much time to linger in this quirky university Scottish town, but of the time we did spend in the Octagon, we were charmed by elegant buildings as well as a break in the long drive from Invercargill all the way to Christchurch. 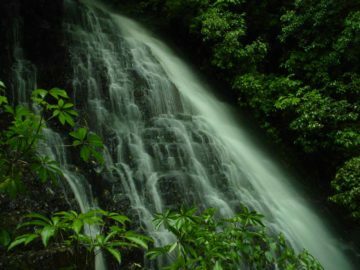 We knew that just having this taste of the town whetted our appetites for more, but to fully immerse ourselves would require another trip, and so the seeds were planted for that. 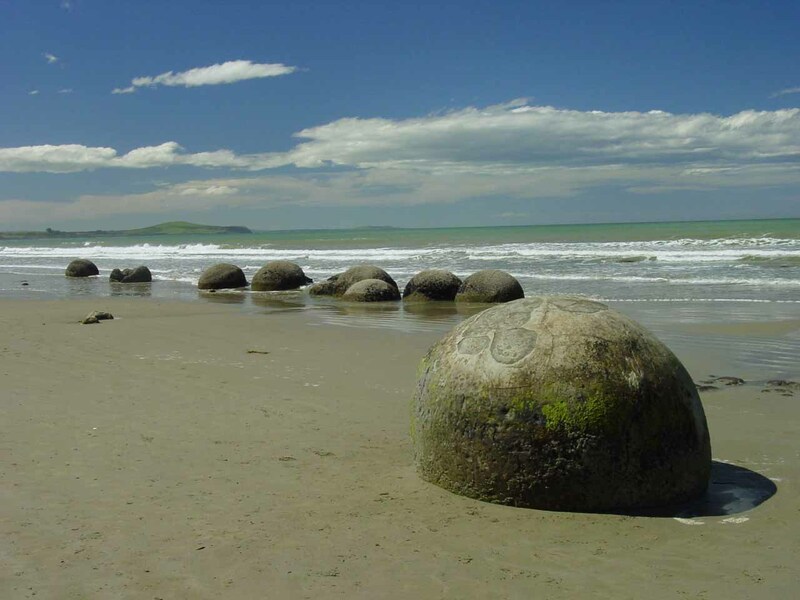 Moeraki Boulders – These curious boulders planted within a wide sandy beach on the east coast of the South Island north of Dunedin also helped to break up the long drive between Invercargill and Christchurch, and we made sure to savour this place as it was rare to have such features on an uncrowded yet beautiful beach backed by pristine blue waters. 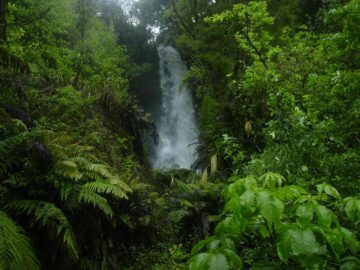 It was yet another affirmation that New Zealand is all about the Nature and it seemed like almost every place we stopped to explore it some more, we come back getting more than we anticipated! 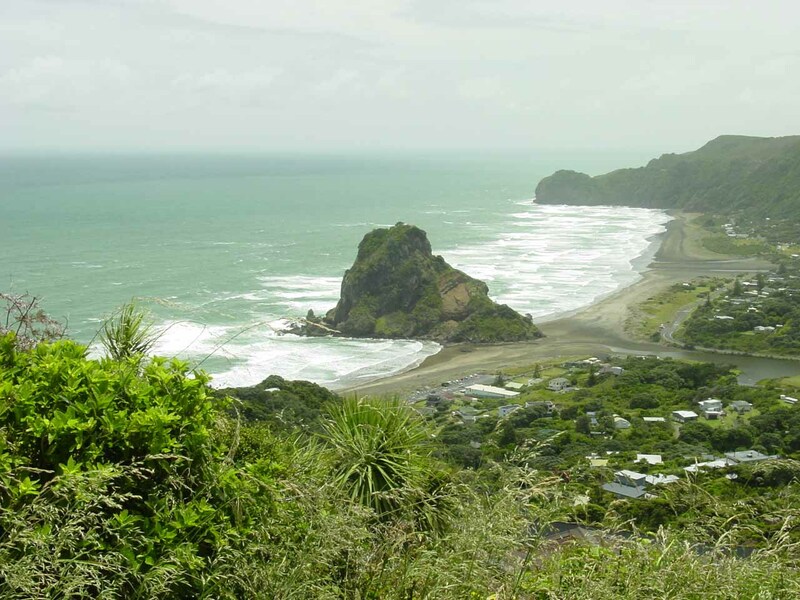 Piha Beach – This beautiful and seemingly secluded beach almost seemed too good to be true for a place that was less than an hour drive from Auckland. 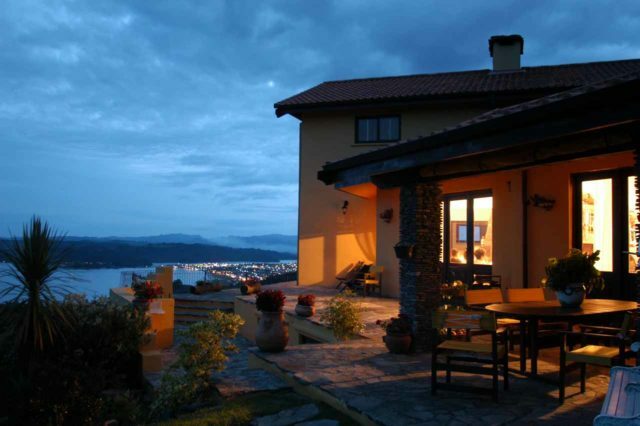 With Lion Rock jutting up above the coastline and the small town, I couldn’t believe how quiet it was here. Plus, I had a waterfalling excuse to linger here with a hike to Kitekite Falls a short distance further inland. 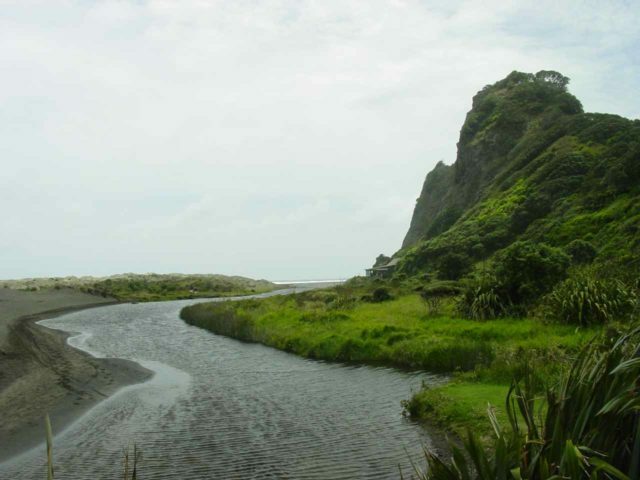 Karekare Beach and Karekare Falls – While it was the waterfall that drew me to this beach, once again I was spoiled with another stretch of coastline that was uncrowded and picturesque. 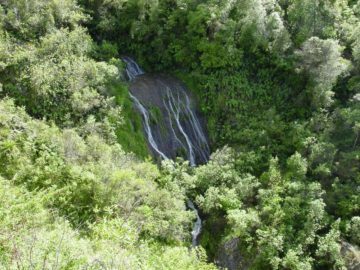 The waterfall itself was also very attractive, and it just felt like there was so much to see and experience in the Waitakere Ranges so close to Auckland. 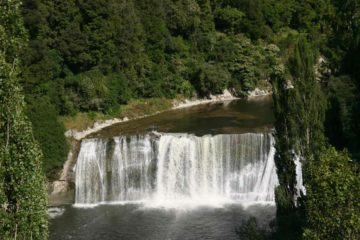 Hunua Falls – This was the last waterfall of this epic trip to New Zealand, and it was an impressive one. 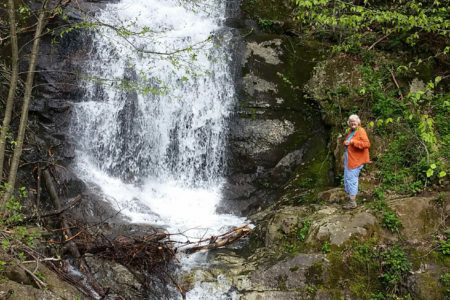 We happened to be one of the few people who were here during our visit, and it was the perfect sendoff as we saw reflections in the stream and gladly soaked in the scene before us as the last memory of this trip before flying home. This was a long series of travel days (mostly because we took a red-eye flight combined with crossing the international date line). Once we landed in Auckland, we then waited patiently to collect our rental car before heading north to Whangarei. Along the way, we took a brief detour to Piroa Falls before settling in at Whangarei. We then did a brief trip out to Whangarei Falls before returning in time for dinner on the waterfront. 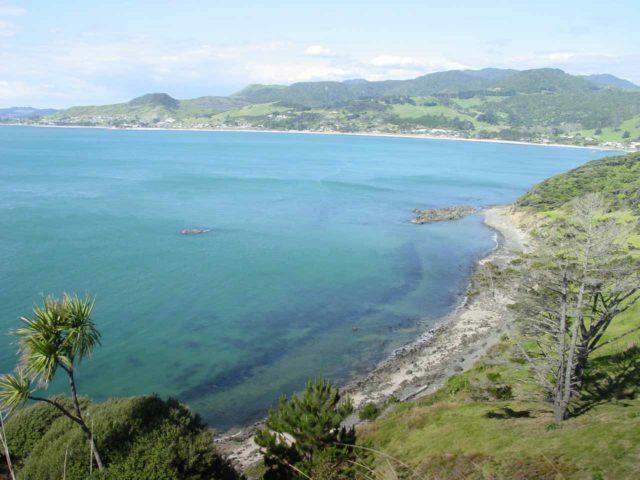 We began the morning with a drive north to the Bay of Islands to do the Hole-in-the-Rock tour. Then, we drove west to Kerikeri checking out both the Haruru Falls and Rainbow Falls along the way. 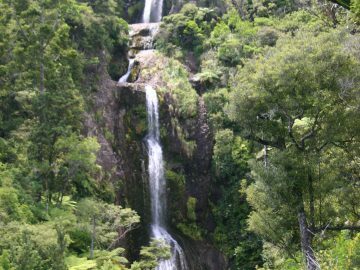 Finally, we then followed along the west coast of Northland exploring the Waiotemarama Falls and the kauri giants in the Waipoua Forest before completing the loop back in Whangarei. 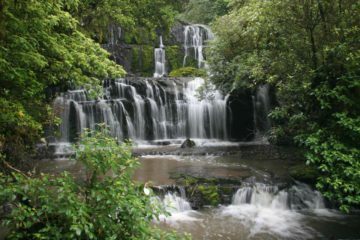 After arriving in Auckland, we spent the remainder of the day making wedding preparations and renting things like a tux. We also met up with a cousin who was attending the wedding and hung out with her. 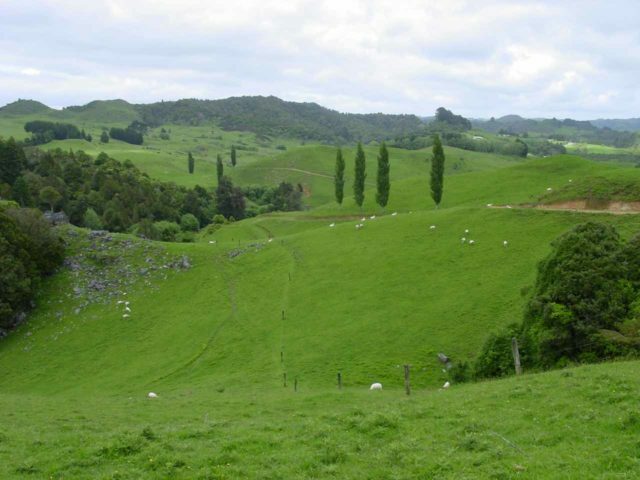 This was another day of wedding preparations as we drove east to the Coromandel from Auckland. Most of the day was spent decorating and making sure cake and floral arrangements were in line for tomorrow. This was the big wedding day. The morning was spent doing more preparations, and the afternoon was all about the ceremony and reception in the Villa Toscana Lodge. We also did wedding photos at Simpson Beach. 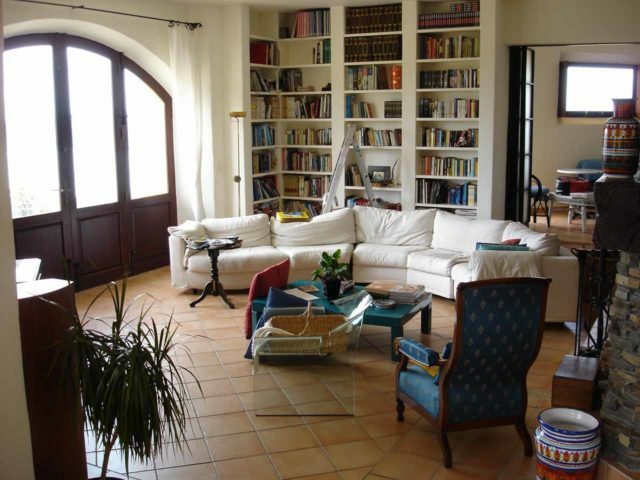 After spending the better part of the morning enjoying a breakfast and another family gathering at Villa Toscana, we were then on our own starting at midday. 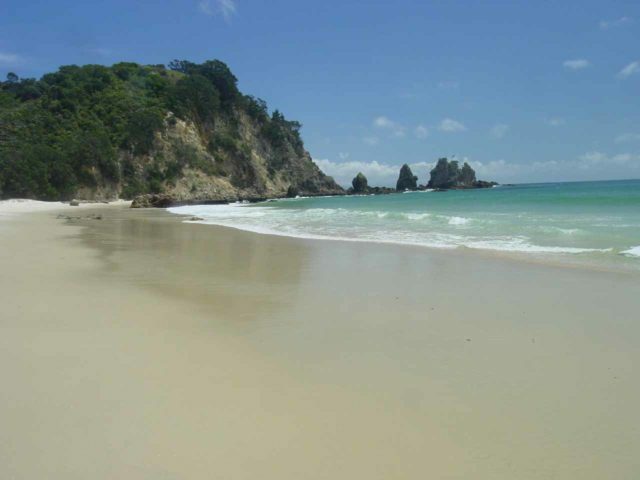 We first went north to Otama Beach at Giorgio’s suggestion before going back south to visit Cathedral Cove. 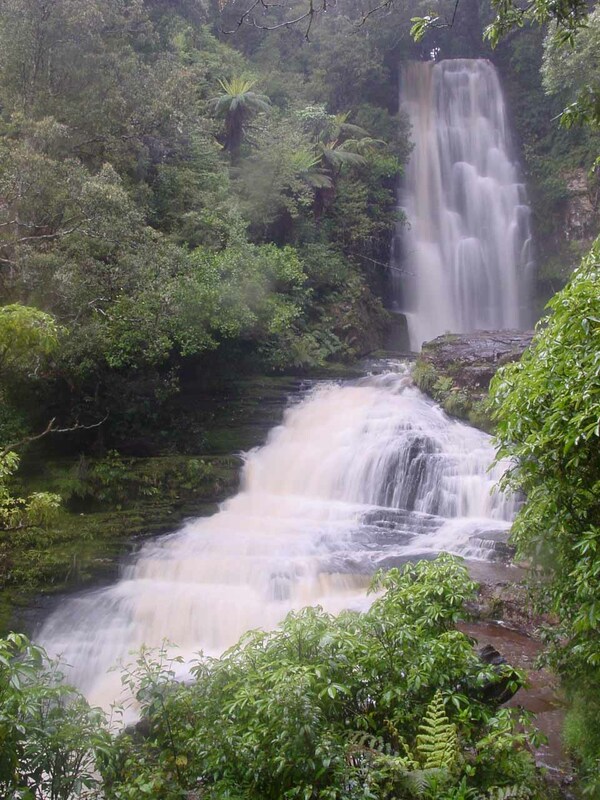 Eventually on the way to Tauranga, we did the Wentworth Falls hike. 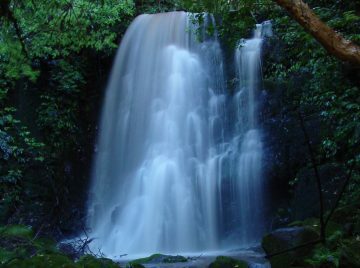 I spent the early morning visiting Kaiate Falls as well as McLaren Falls and Marshall Falls before checking out of Tauranga and heading towards Rotorua. 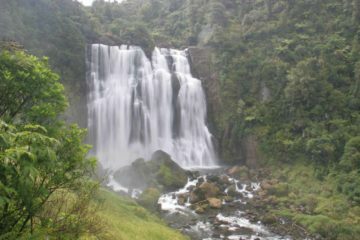 On the way there, we did the Wairere Falls hike before checking out Te Whakarewarewa in Rotorua. 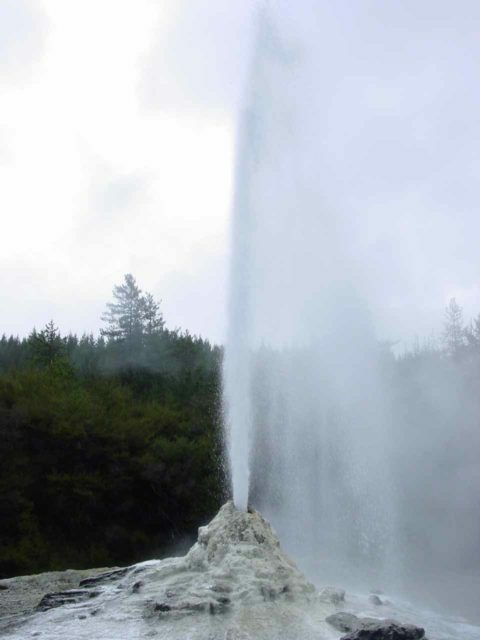 We started the day going south to Wai-o-tapu to watch the Lady Knox Geyser go off before visiting its colourful pools, then we backtracked and visited Te Wairoa Falls as well as doing a long drive via Kawerau to Tarawera Falls. 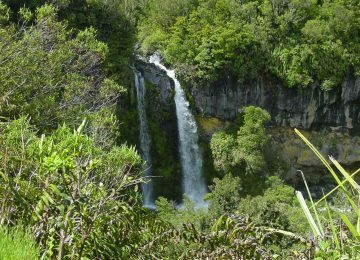 We also spent some time at Hell’s Gate to see Kakahi Falls. This was an adventurous day as we got an early start and went right into Te Urewera National Park. 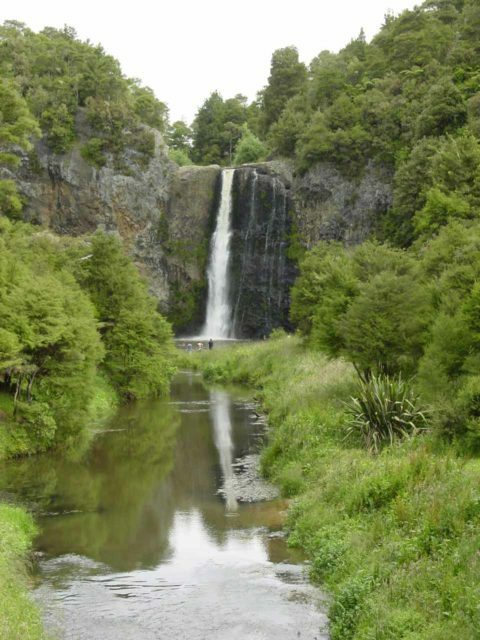 Along the way, we visited Totarapapa Falls, Mokau Falls, the Aniwaniwa Falls, and Papakorito Falls. After having emerged from the other side of Te Urewera, we then visited Te Reinga Falls before doing the Shine Falls hike. Finally, we settled in on Napier to enjoy the art deco vibe there. 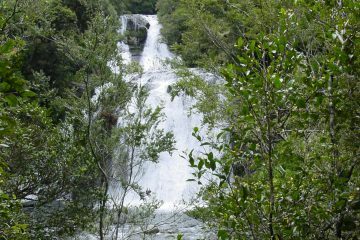 After leaving Napier, we checked out Tangoio Falls and Te Ana Falls before driving towards Taupo. Along that route, we stopped for Waipunga Falls as well as making a visit to Huka Falls before spending some time in Taupo. 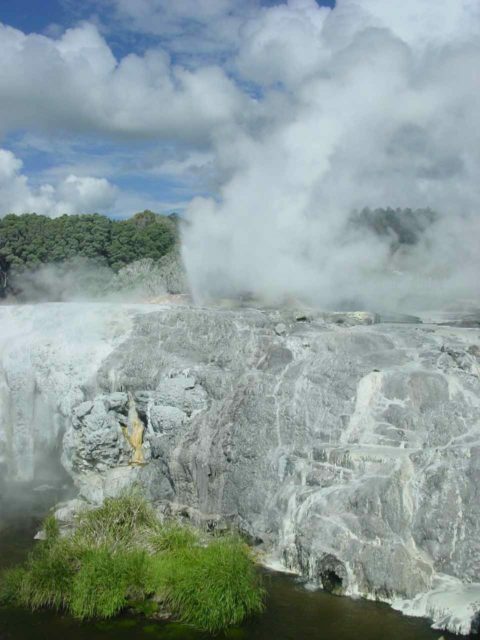 After lunch, we then checked out the Craters of the Moon before settling in at Turangi. 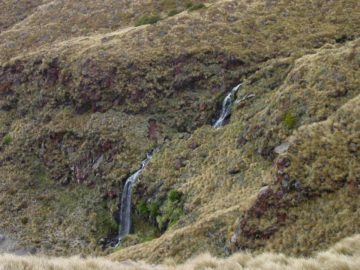 After leaving Turangi, we took the desert road east of the Central Plateau of Tongariro which seemed to have avoided most of the weather we were seeing to the west. 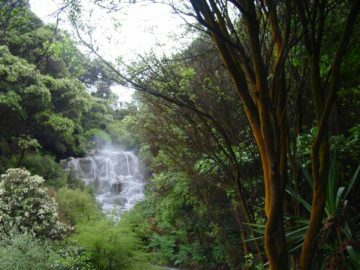 Then, we swung around to the slopes of Mt Ruapehu to visit Mangawhero Falls and Waitonga Falls before going back down the mountain and swinging around to Whakapapa Village where we visited Tawhai Falls and Taranaki Falls. 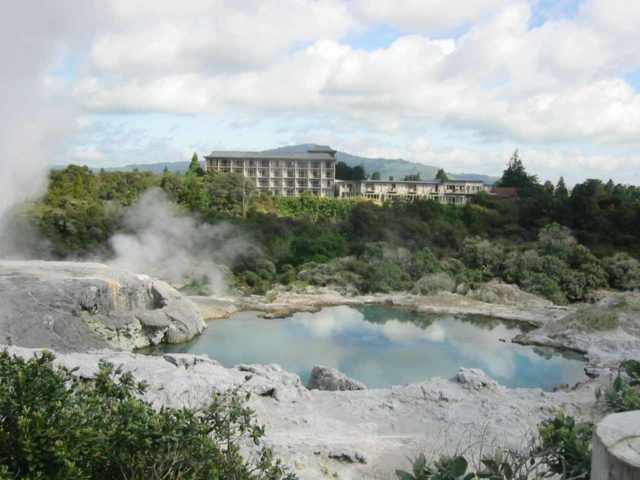 Finally, we settled in at the Chateau Tongariro. Note that our accommodation actually changed from the original itinerary at the last minute, where we swallowed the accommodation cost of the motel in Ohakune so we could seize the moment and experience what it was like at Chateau Tongariro (as well as being more strategic from the standpoint of doing the shuttle for Tongariro Crossing). 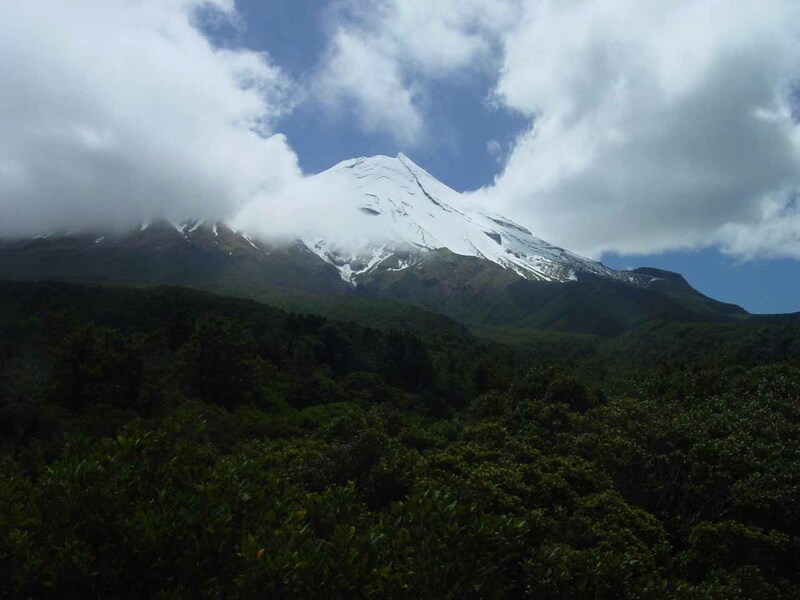 Due to bad weather making the Tongariro Crossing not doable on this day, we drove out towards the Taranaki District via the Forgotten World Highway. 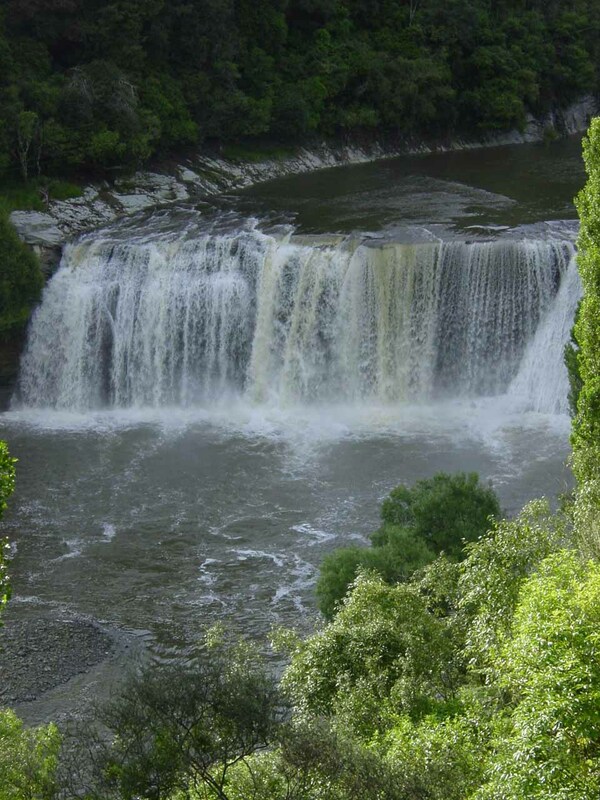 Along the way, we stopped by the Mahuia Rapids as well as Mt Damper Falls. 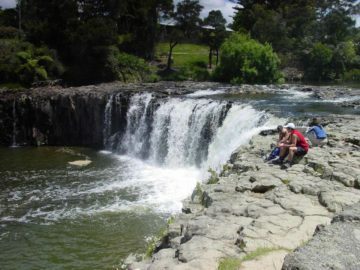 Then, after lunch in Stratford, we visited Dawson Falls before swinging east to Whanganui with a stop at Waverley Beach. 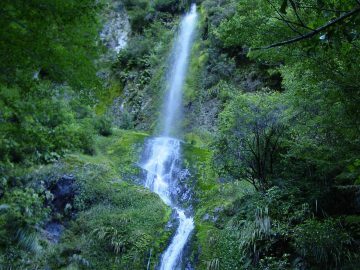 Finally, we headed back north to Whakapapa Village with a stop for Raukawa Falls. 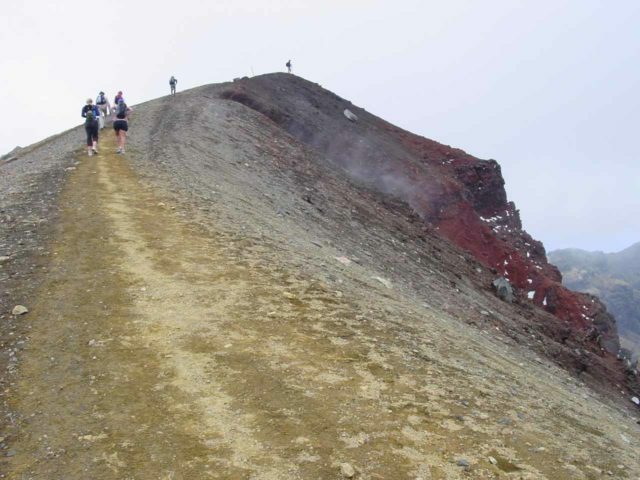 This day was dominated by the Tongariro Crossing as the weather finally improved enough for us to do it. 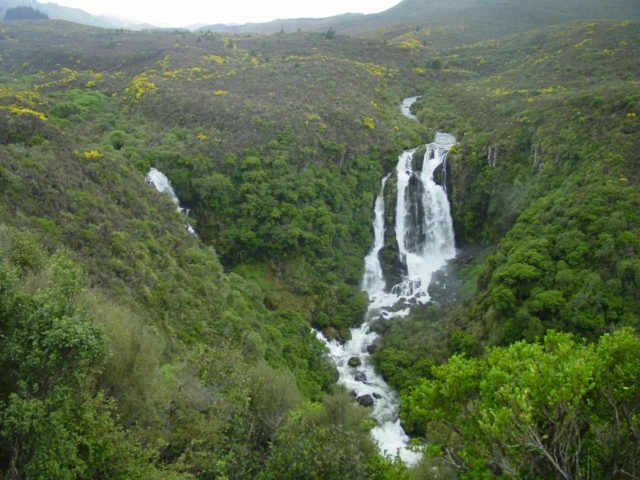 After the hike, we were shuttled back to Whakapapa Village to recover the car and drive to Hamilton for the evening. 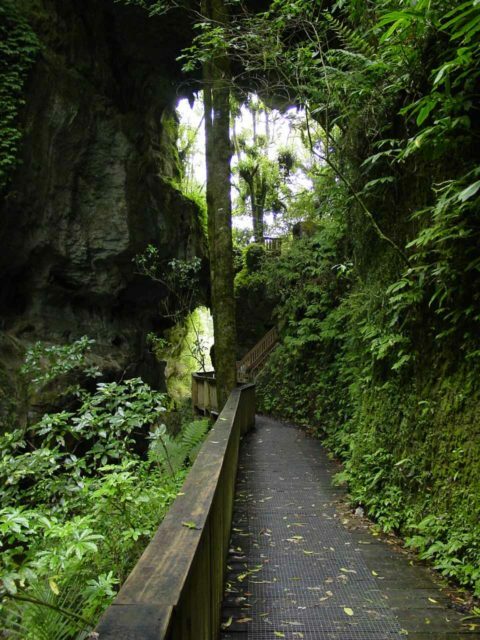 We began this day going right to the Waitomo Caves for a glow worm tour. 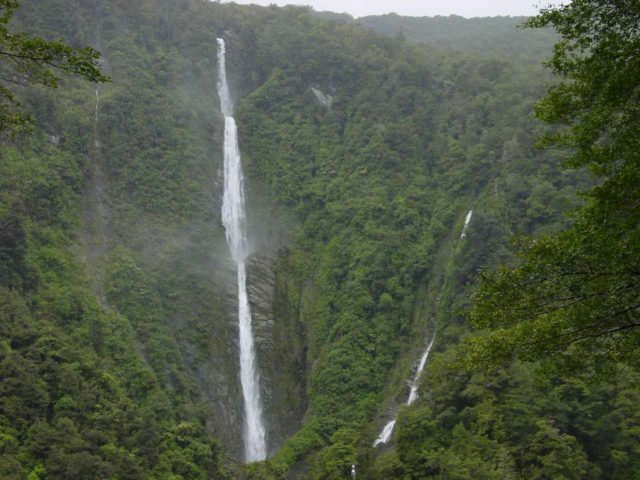 Then, we headed west to visit Marokopa Falls and the Mangapohue Natural Bridge. 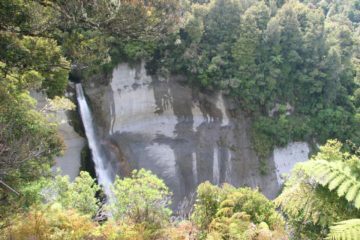 After getting past some bike race on the road, we then headed north towards Raglan where we visited the Bridal Veil Falls. 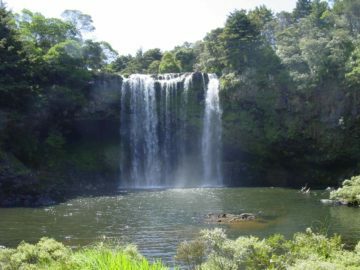 We made an early morning drive back to the Auckland Airport to return the rental car, then catch a flight to Christchurch. 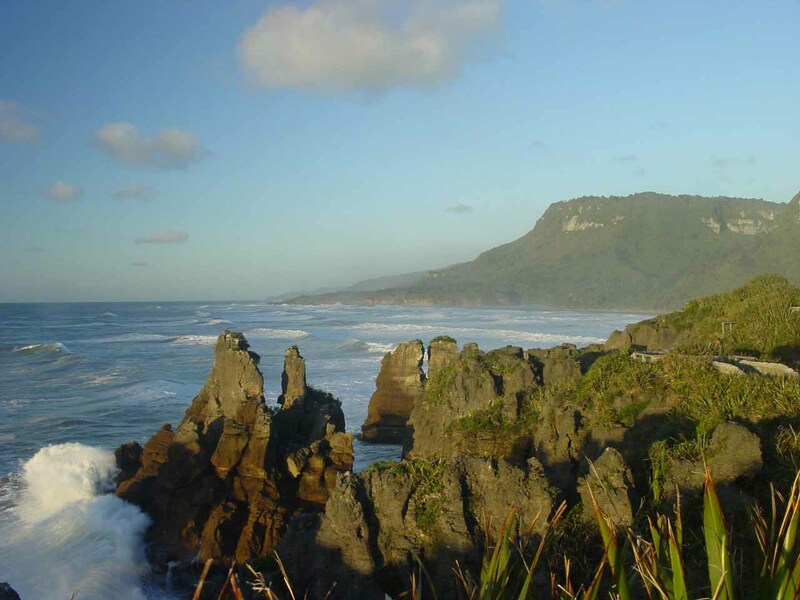 Once there, we picked up another rental car and promptly drove to Greymouth. 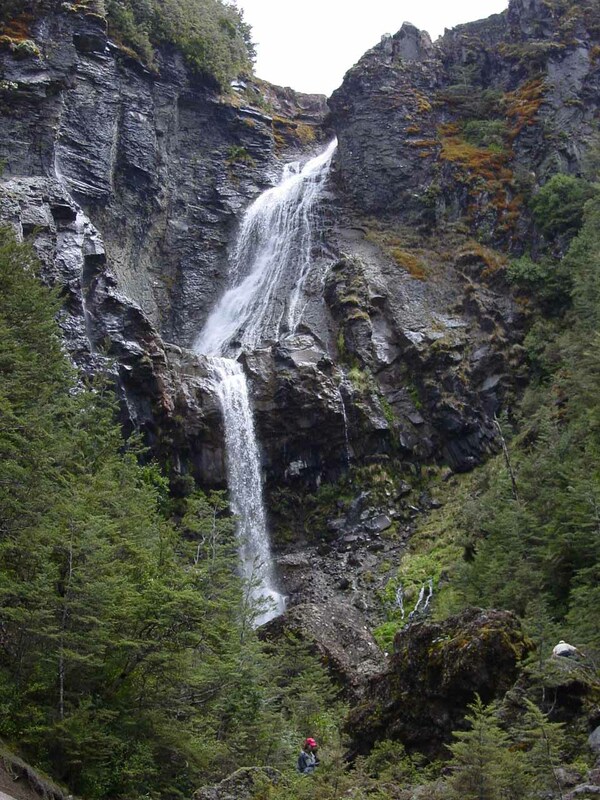 Along the way, we stopped for the Five Mile Creek Falls near Lewis Pass. Finally after checking into our accommodation, we raced to Punakaiki and the Pancake Rocks to see the Putai Blowhole as the sun was setting. 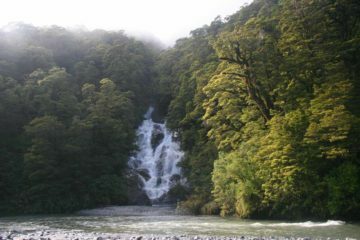 I began the day with an early morning hike to Carew Creek Falls near Lake Brunner. 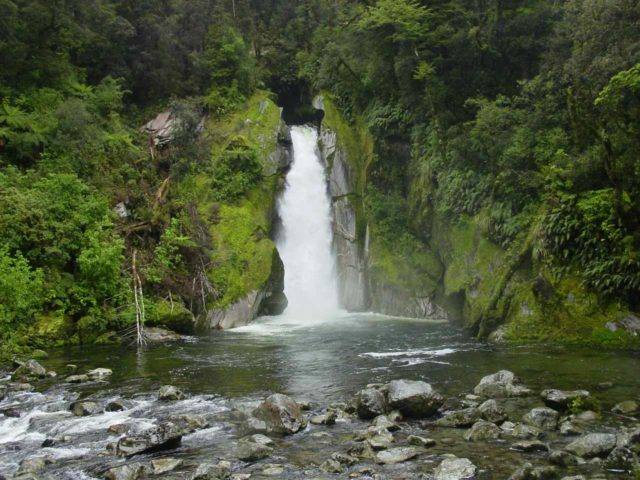 Then, after checking out of Greymouth, we went to Arthur’s Pass where we saw Twin Creek Falls and Reid Falls, Devils Punchbowl Falls, Avalanche Creek Falls, and Bridal Veil Falls. 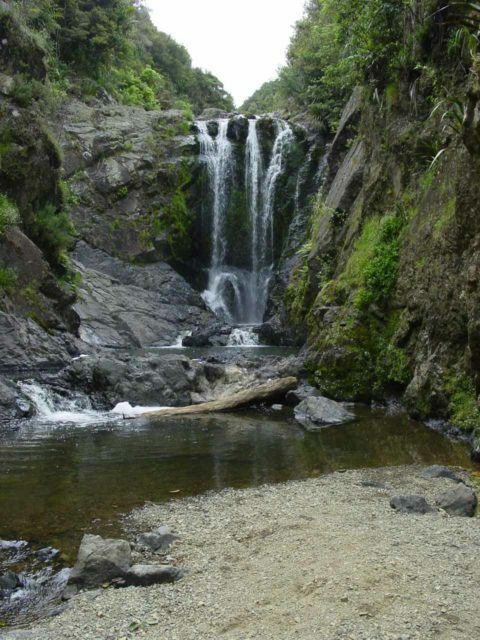 We then drove to Lake Kaniere to visit Dorothy Falls before having a nice dinner in Hokitika. 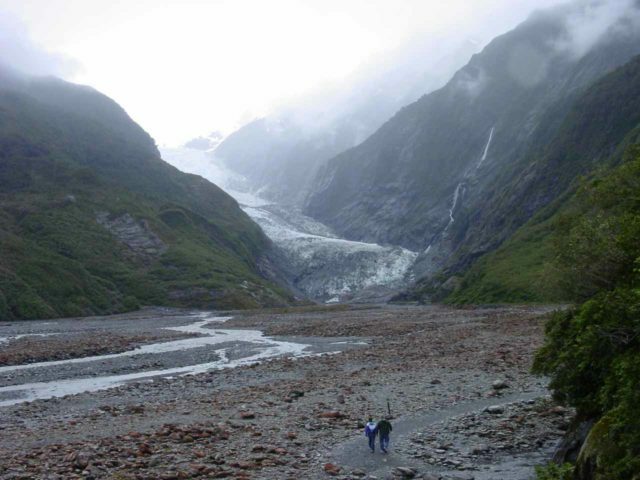 Finally, we arrived in Franz Josef Glacier at night to settle in. 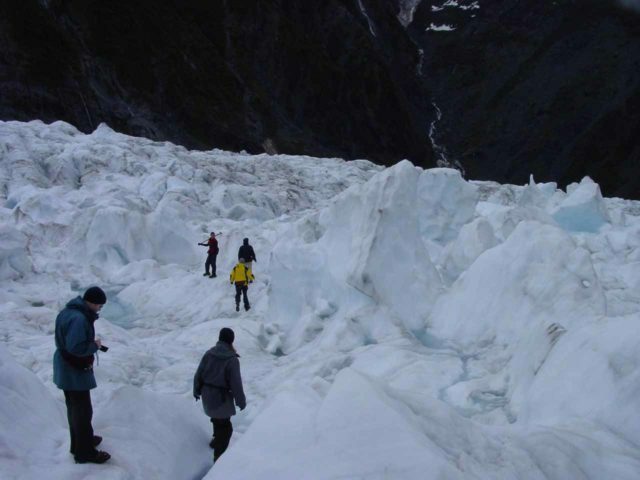 This was a day at leisure at the Franz Josef Glacier. We started with a helihike onto the glacier itself, then later in the day, we hiked to the terminus of the Franz Josef Glacier seeing many waterfalls along the way. 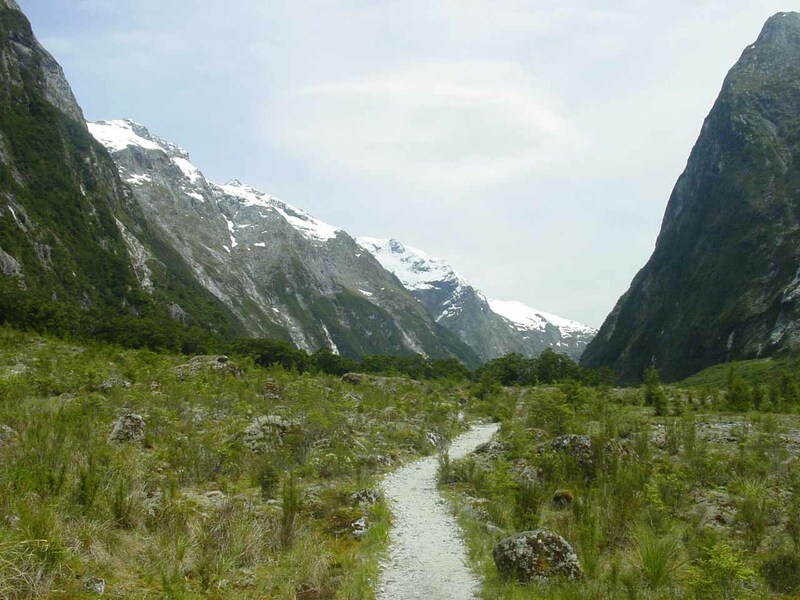 This was a long driving day through Mt Aspiring National Park en route to Queenstown. 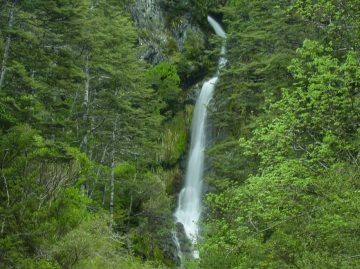 There were numerous waterfalls seen along the road through Haast River Valley and Haast Pass such as Depot Creek Falls, Roaring Billy Falls, Thunder Creek Falls, and Fantail Falls among others. Then, we settled into Queenstown where we enjoyed strolling about town and the lakefront of Lake Wakatipu. We drove immediately to the Milford Sound area where we checked out Bowen Falls from a distance. 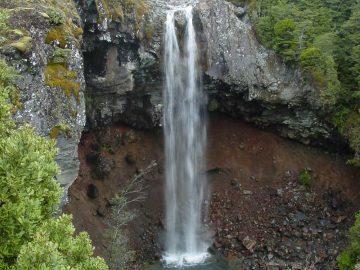 We also checked out The Chasm Walk, Christie Falls (and other waterfalls along the Milford Sound Highway), and Humbodlt Falls up the Hollyford Valley. 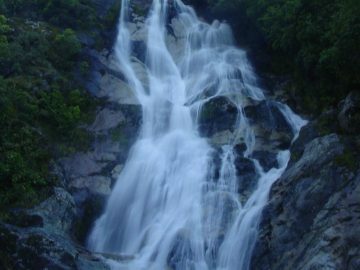 On this day, we took a day tour to the Doubtful Sound, which included several waterfalls like Browne Falls, Cleve Garth Falls, Helena Falls, Stella Falls, and many more. This was the first day of the Milford Track. It really felt like a waste of good weather because we spent most of the day waiting to get started. 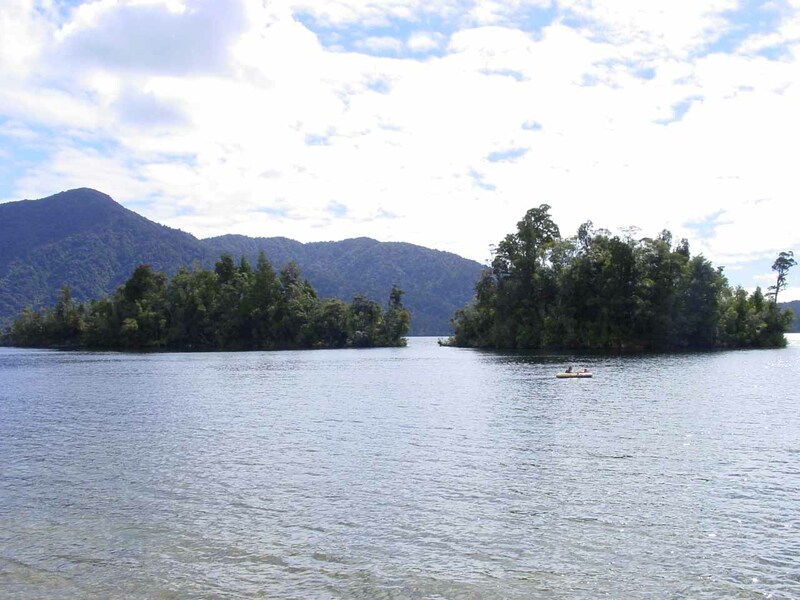 Eventually, we boated across Lake Te Anau then walked a short distance to the Glade House. 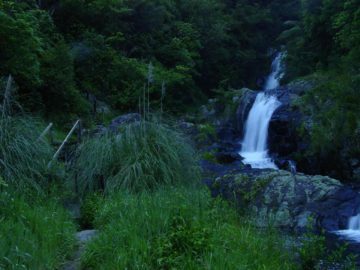 This was a long day of hiking through the Clinton Valley. 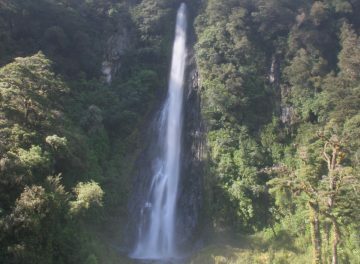 We saw several waterfalls en route as well as a detour on the Wetlands Walk, a stop at Dead Lake, and a lunch stop at Hirere Falls. 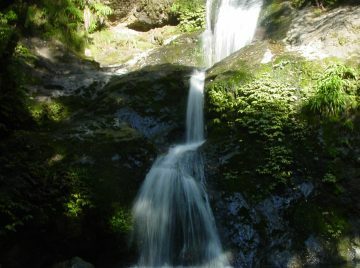 We hiked about 16km on this day. 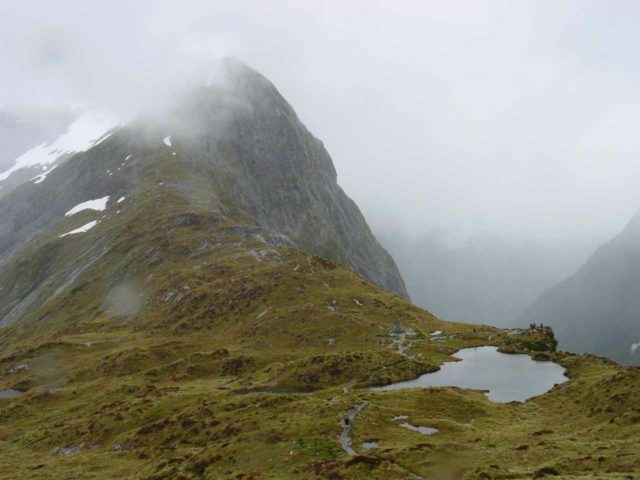 This was a day dominated by the long climb up to MacKinnon Pass (in bad weather) before descending to the Quintin Lodge. 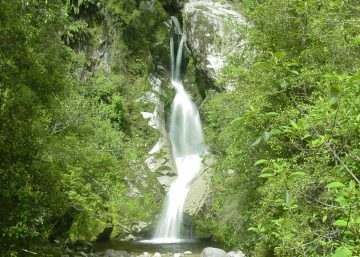 Then, I extended the hike by going all the way to Sutherland Falls before returning to the lodge to try to warm up and dry off. 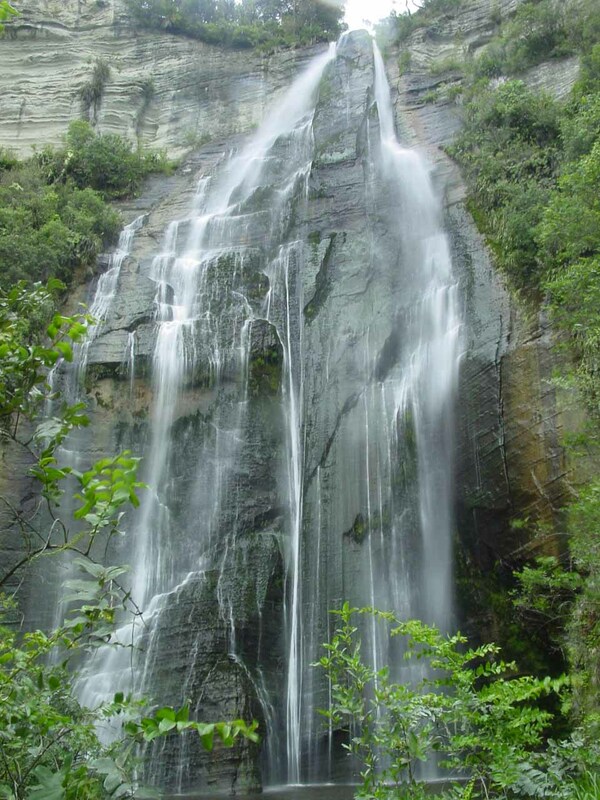 There were also other waterfalls seen en route like the Anderson Cascades, Lindsay Falls, and Dudleigh Falls. 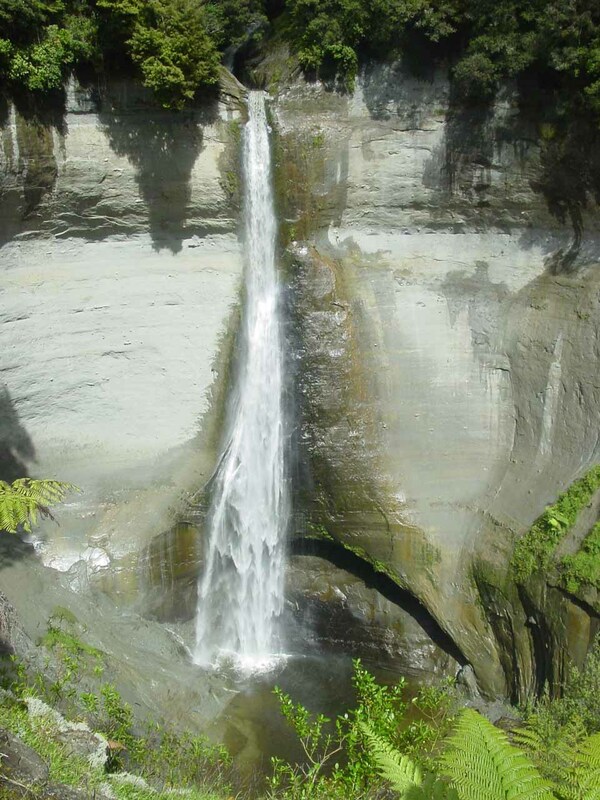 This was a very long 21km hike to Sandfly Point. 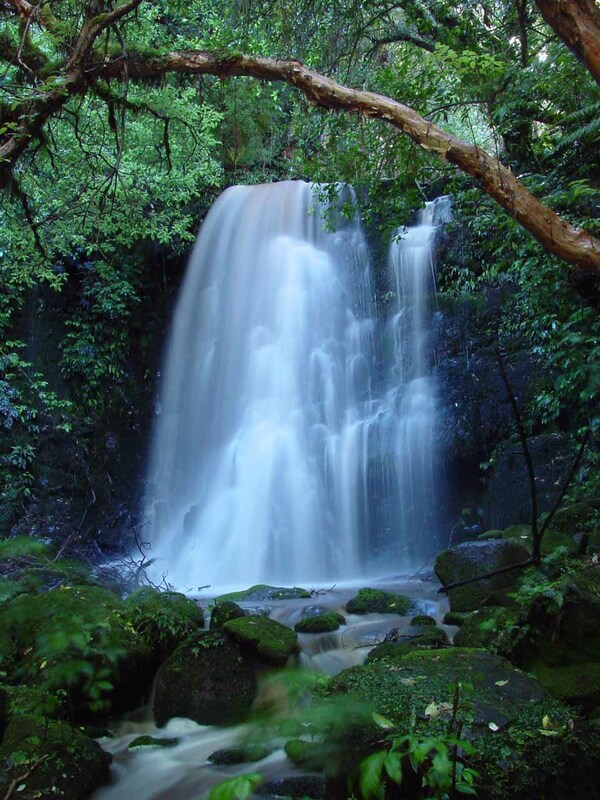 We saw even more waterfalls in the lush Arthur Valley such as MacKay Falls and Giant Gate Falls. We also saw Lake Ada as well as making a stop at the Boat Shed Shelter. 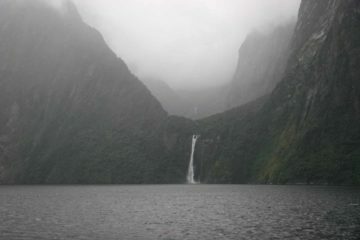 Finally, the trek ended with a boat ride from Sandfly Point back to Milford Sound. 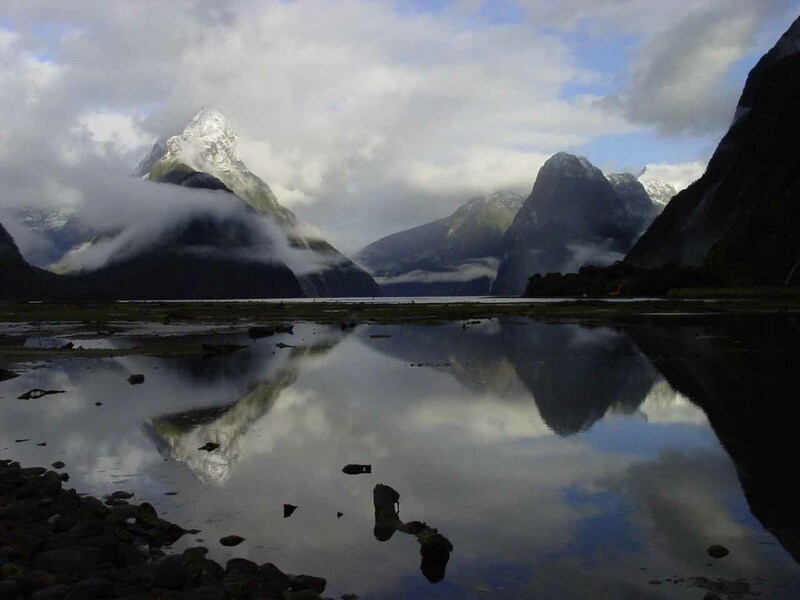 We started off the day with beautiful morning views of the Milford Sound before doing the fjord cruise just as the weather was clearing. After being transported back to Te Anau, we recovered our rental car and belongings, then we drove south to Invercargill to settle for the night. 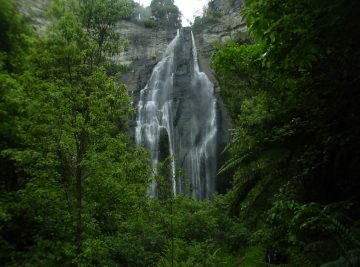 This was a very long day of driving that started with the Southern Scenic Route through the Catlins Forest Park, where we saw McLean Falls, Matai Falls, Purakaunui Falls, and Barrs Falls. Then, after making it to Dunedin for lunch, we then following the coastline to Christchurch with a stop at the Moeraki Boulders. 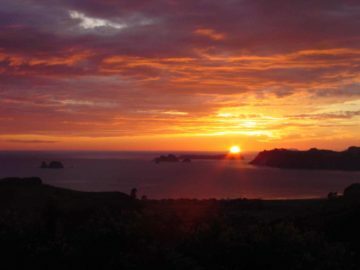 Early in the morning, we returned the rental car at the Christchurch Airport, then caught the earliest flight to Auckland. 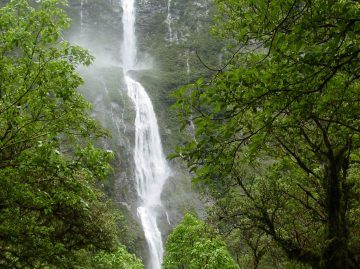 Once there, we picked up a rental car for the day and did a divide-and-conquer where Julie was at the photographer’s house picking wedding and reception photos while I went solo to the Waitakere Ranges to visit Kitekite Falls and Karekare Falls as well as Piha Beach. 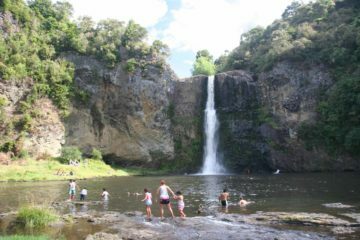 Finally, late in the afternoon, we visited Hunua Falls before returning the rental car at the Auckland Airport then took our red-eye flight home.